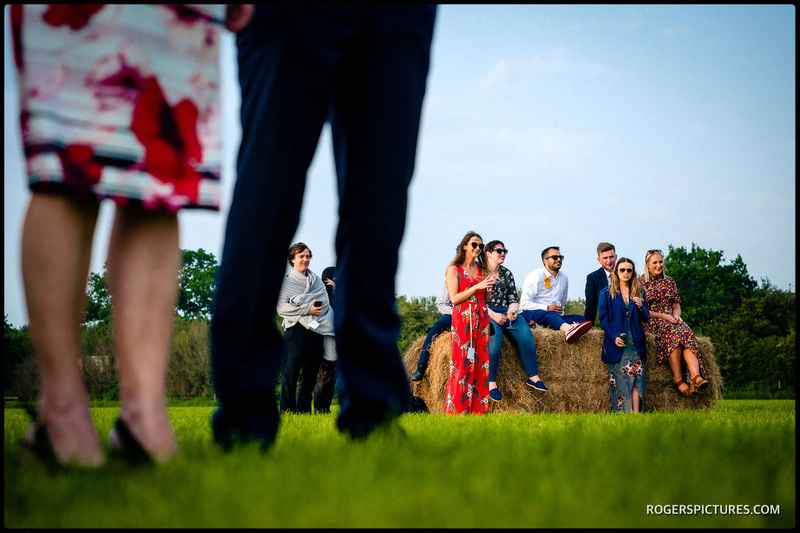 If you get the right weather, there really isn’t anywhere better for a wedding than a field in the open English countryside. 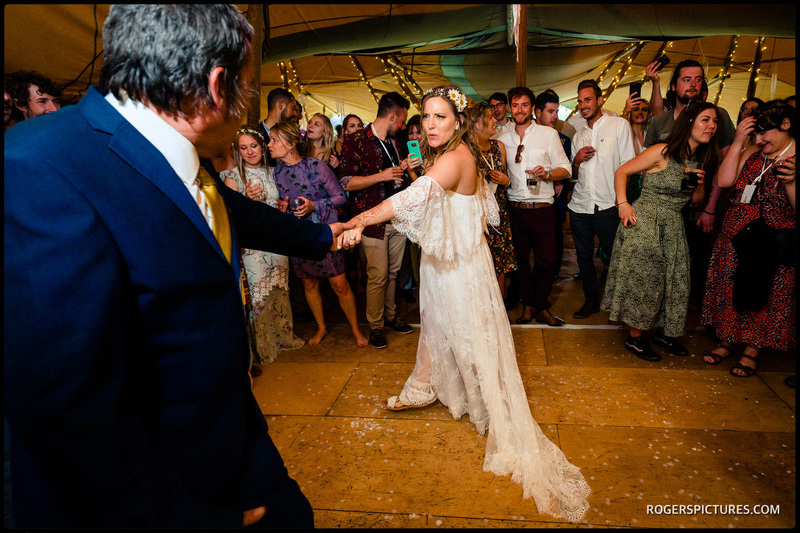 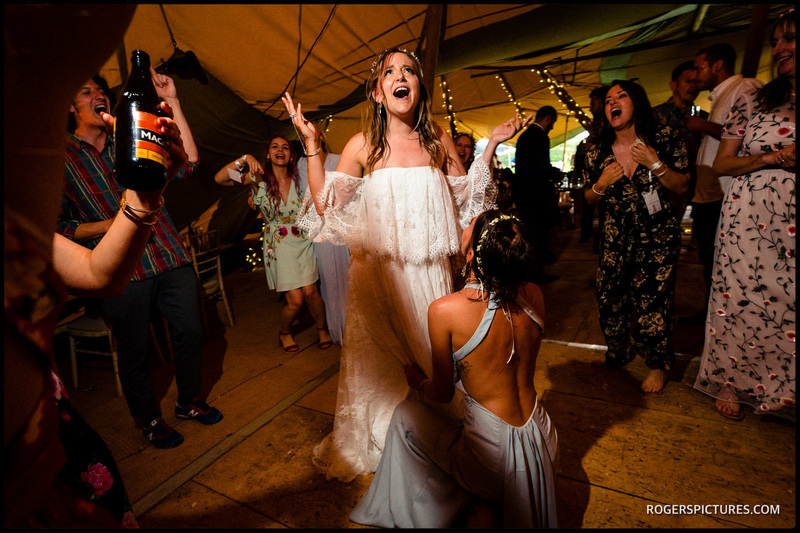 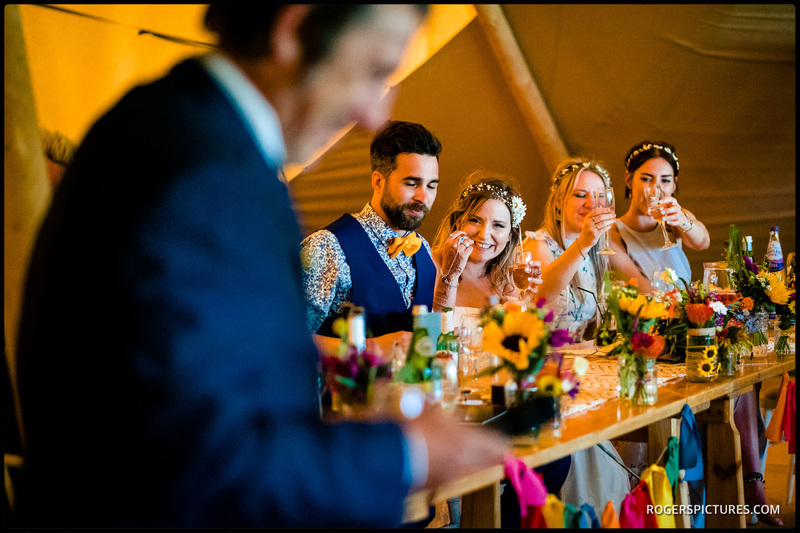 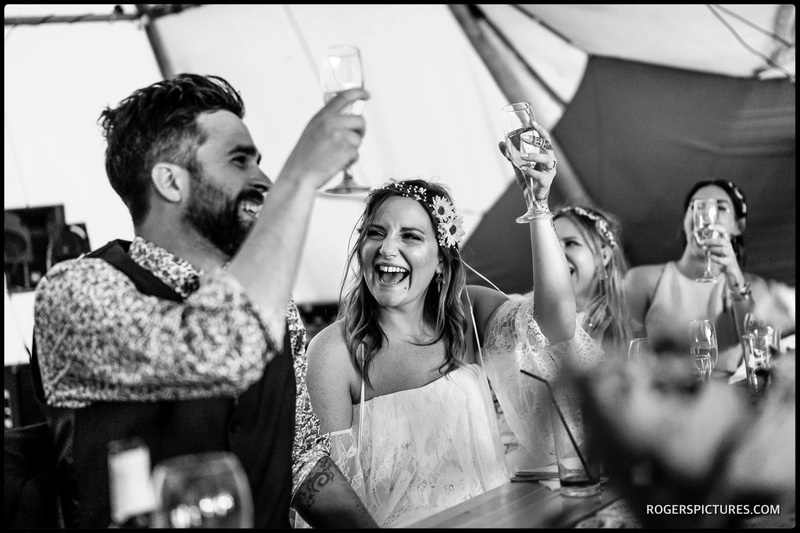 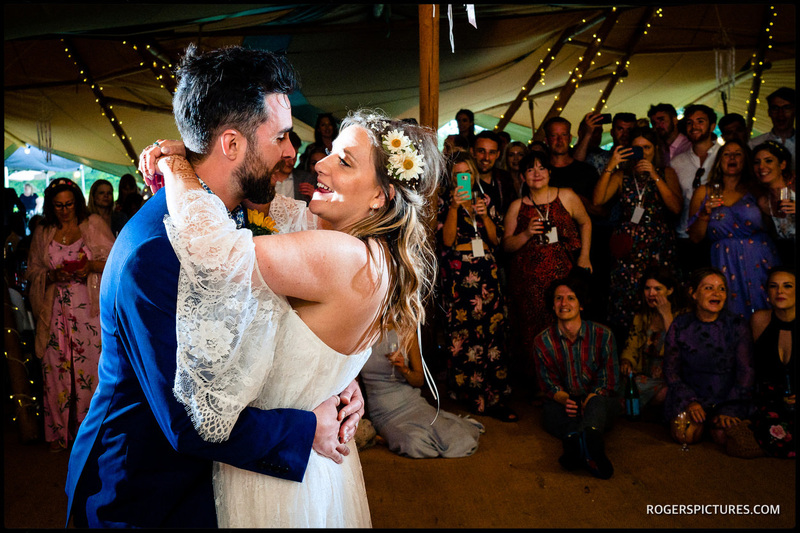 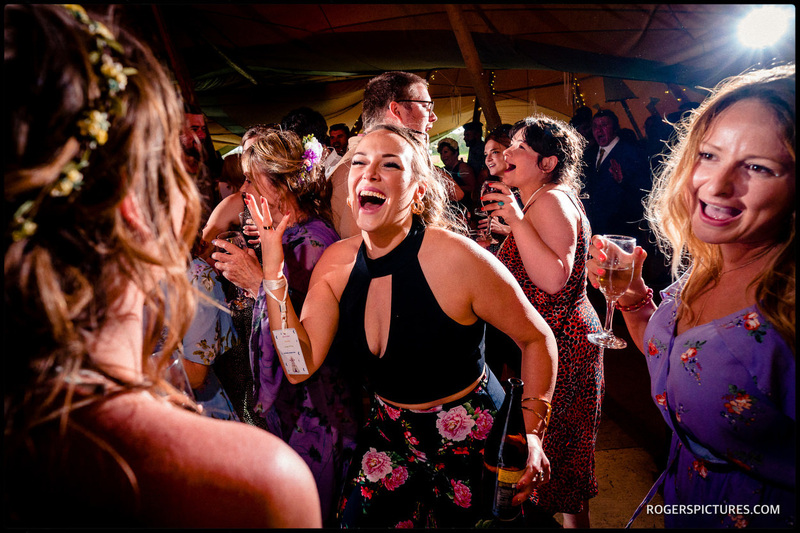 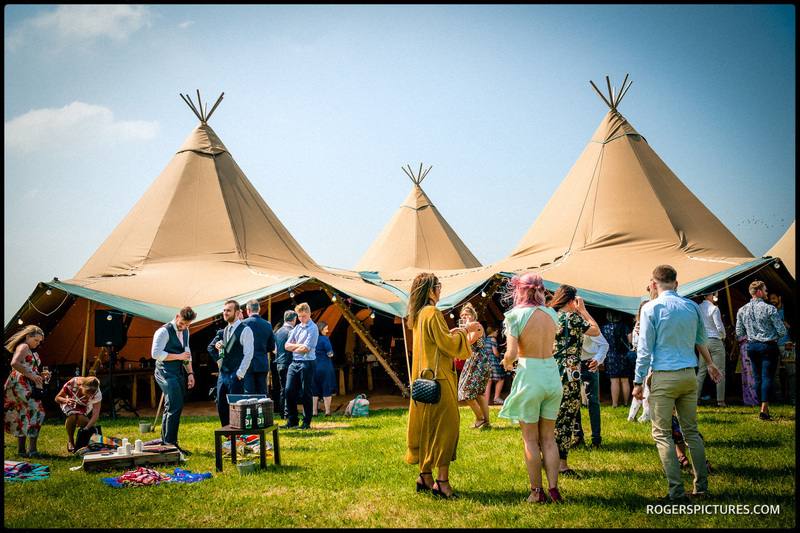 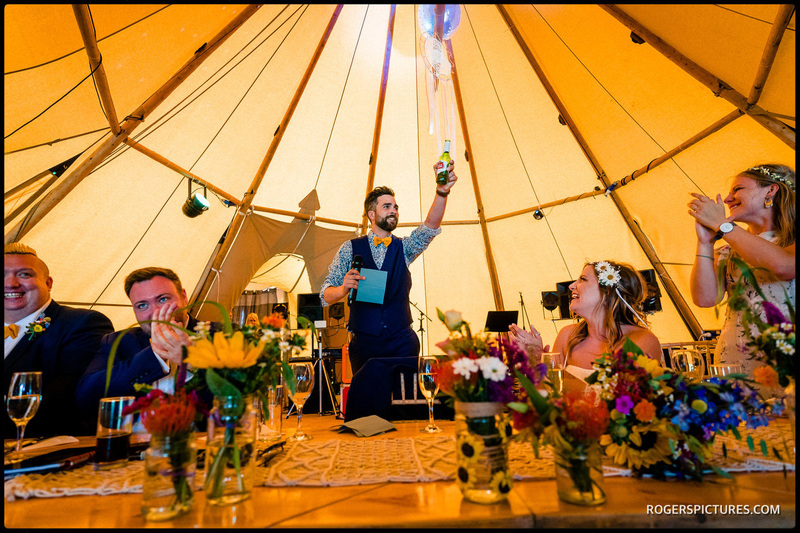 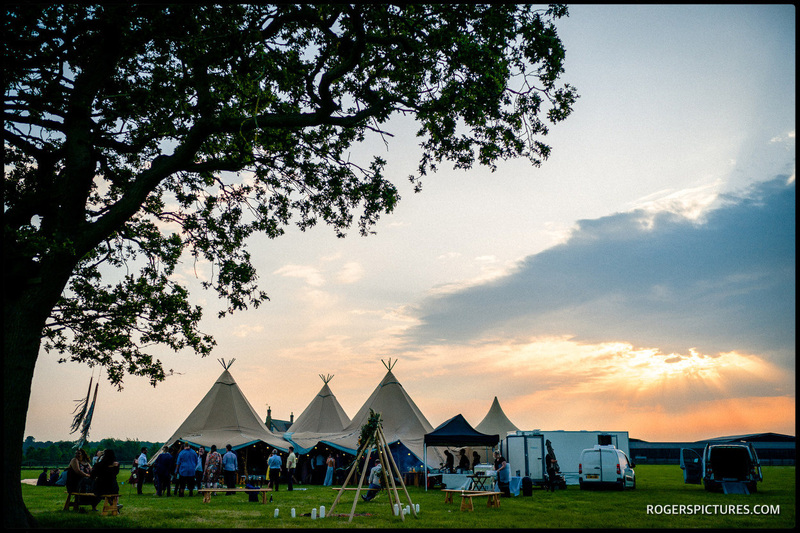 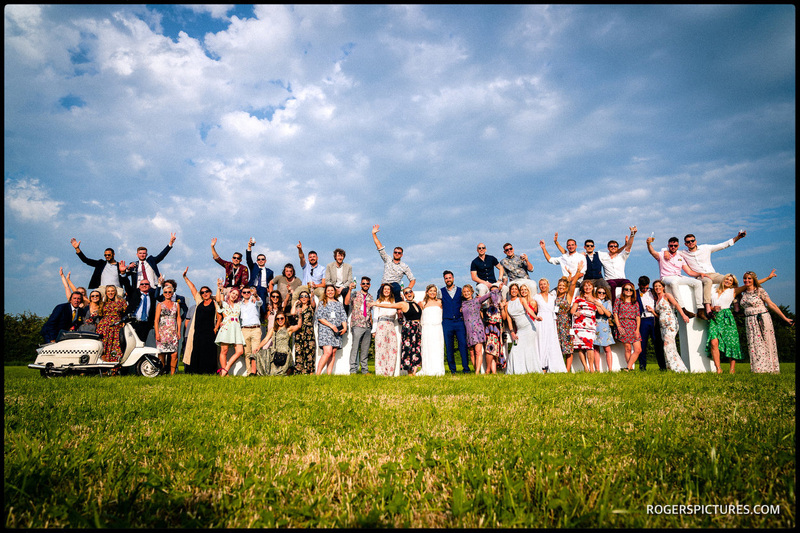 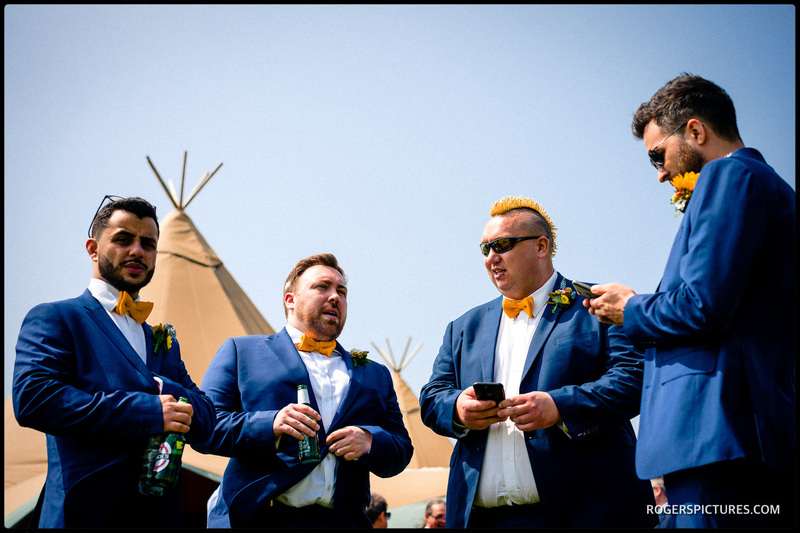 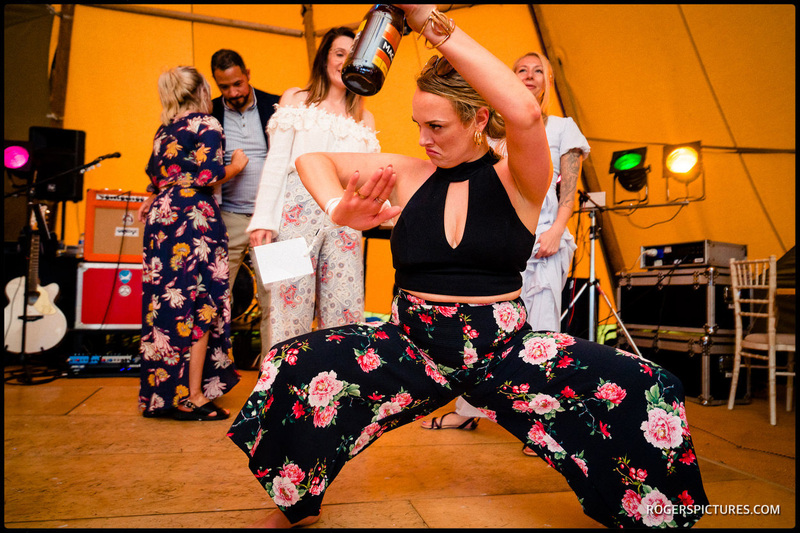 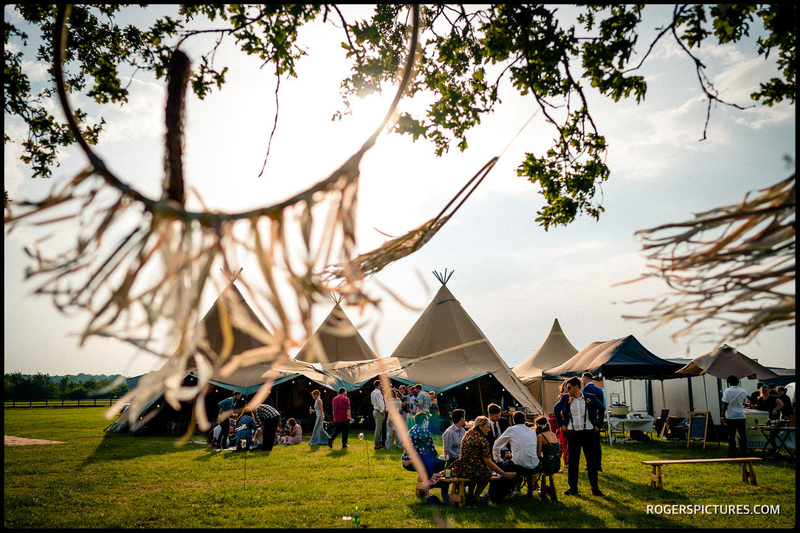 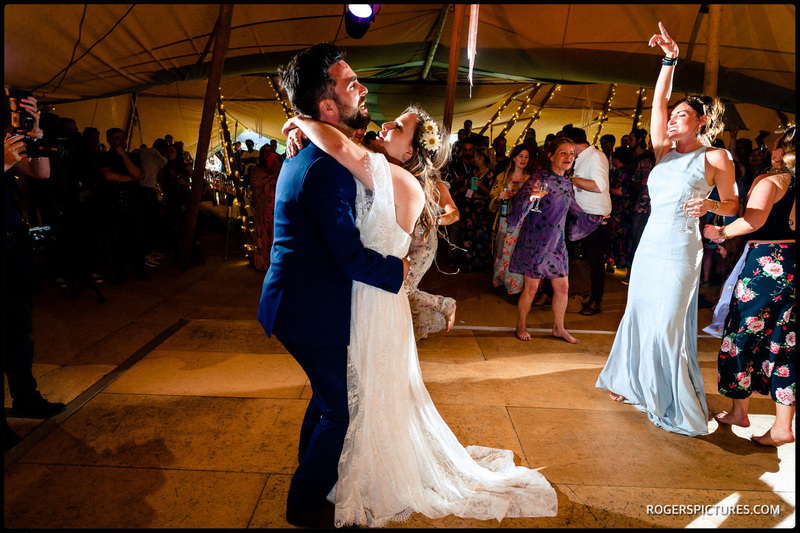 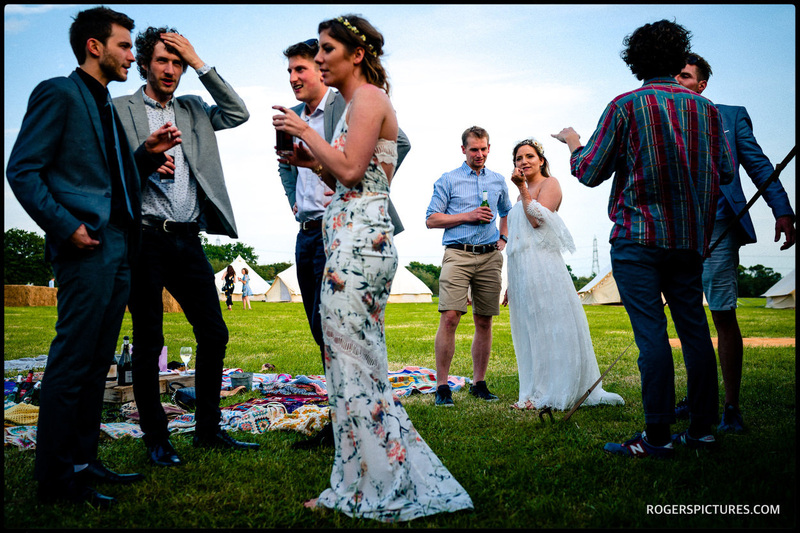 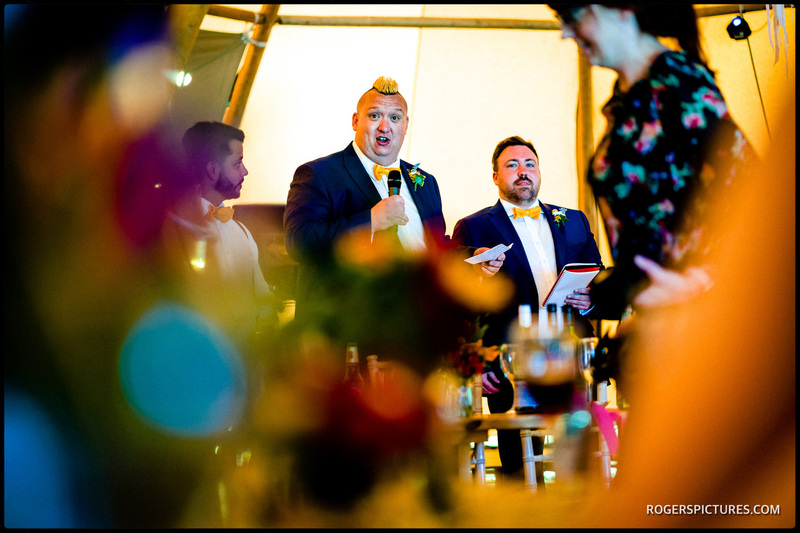 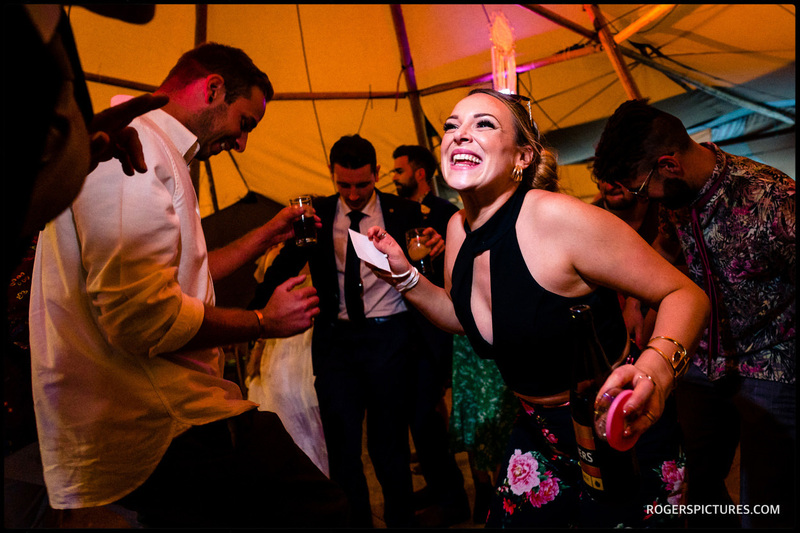 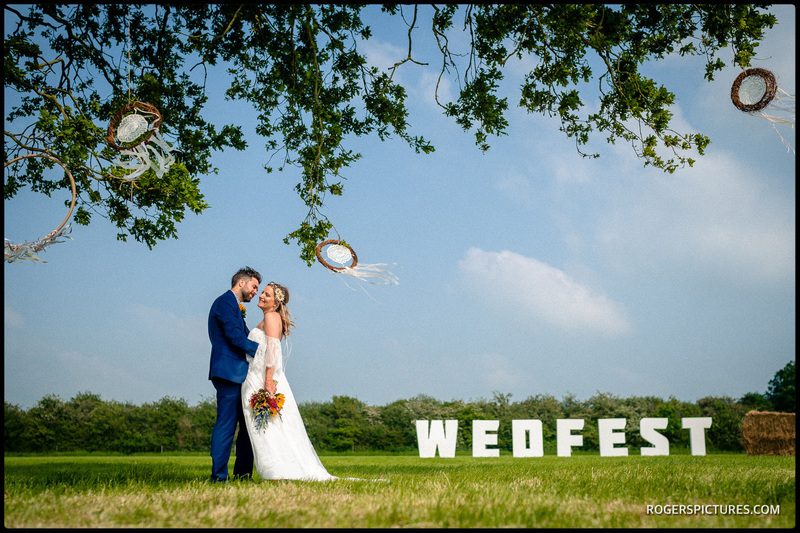 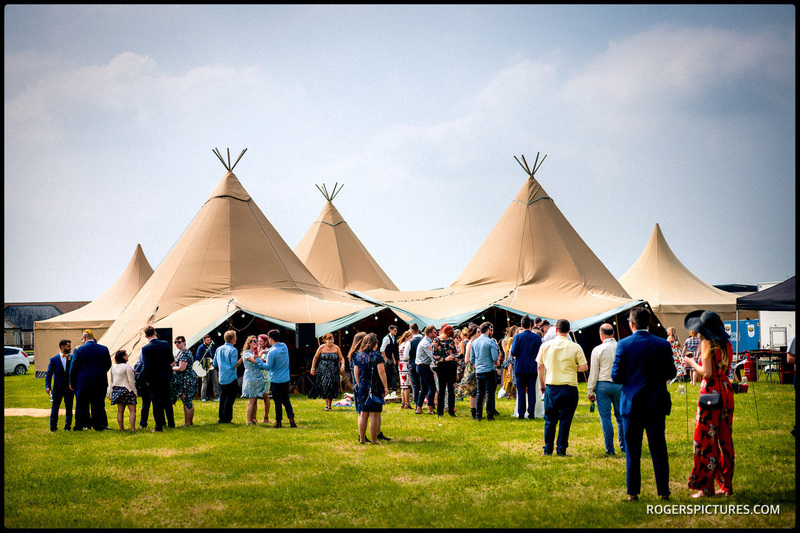 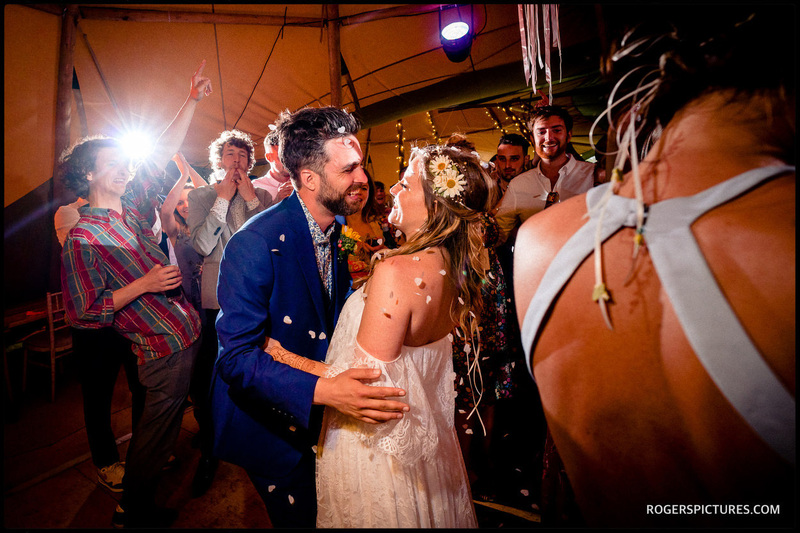 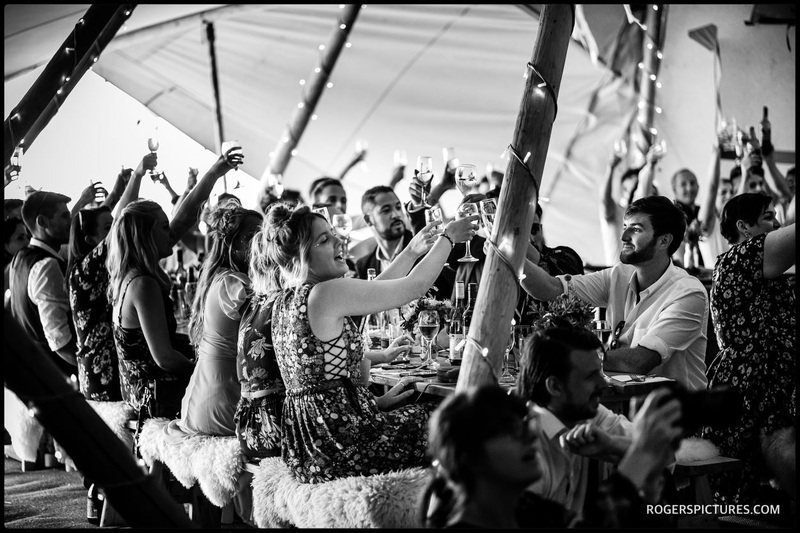 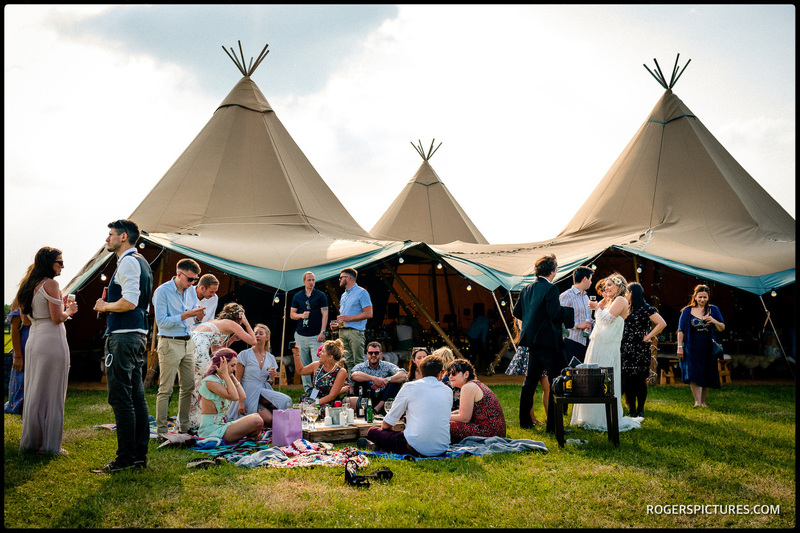 Add a fantastic couple, guests up for a great celebration and some tents, and this was a fantastic Tipi wedding in Buckinghamshire. 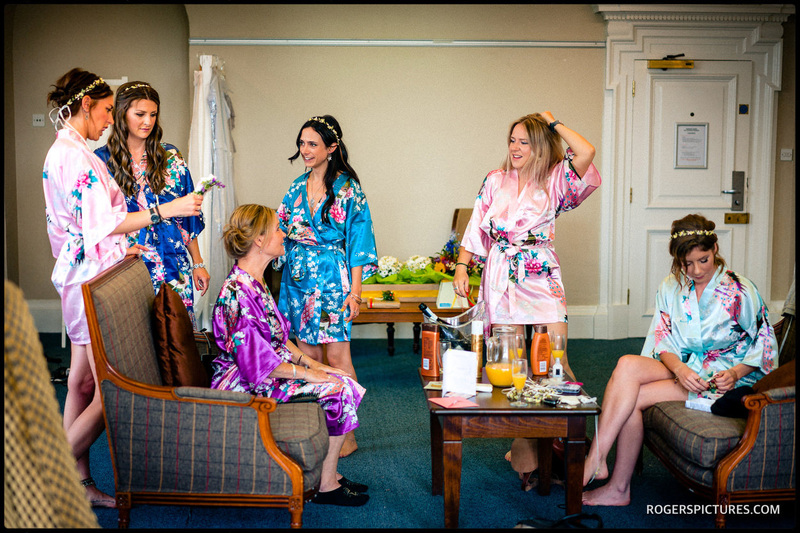 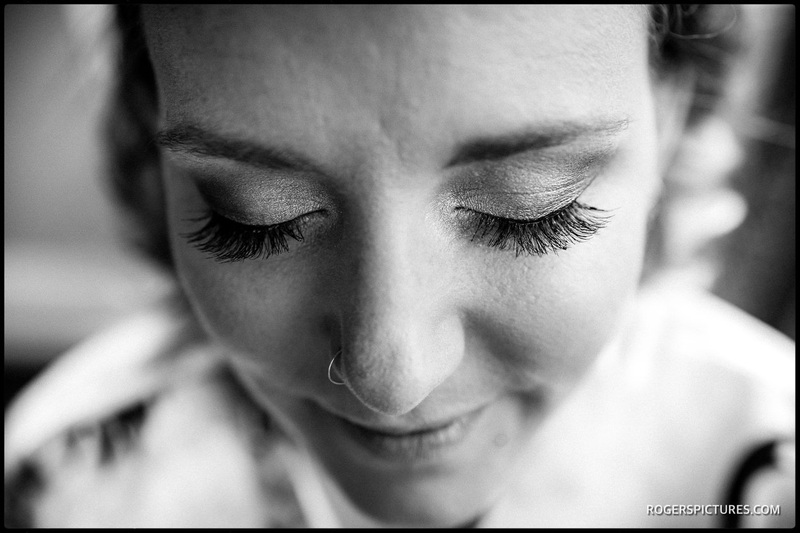 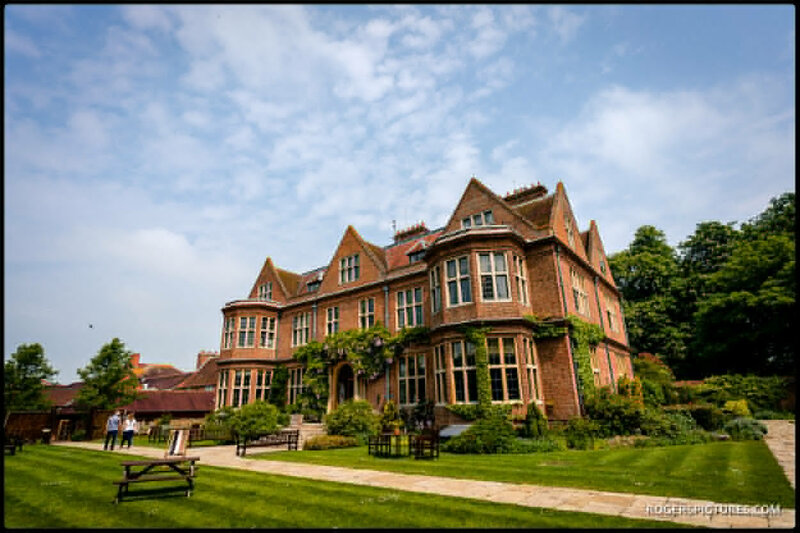 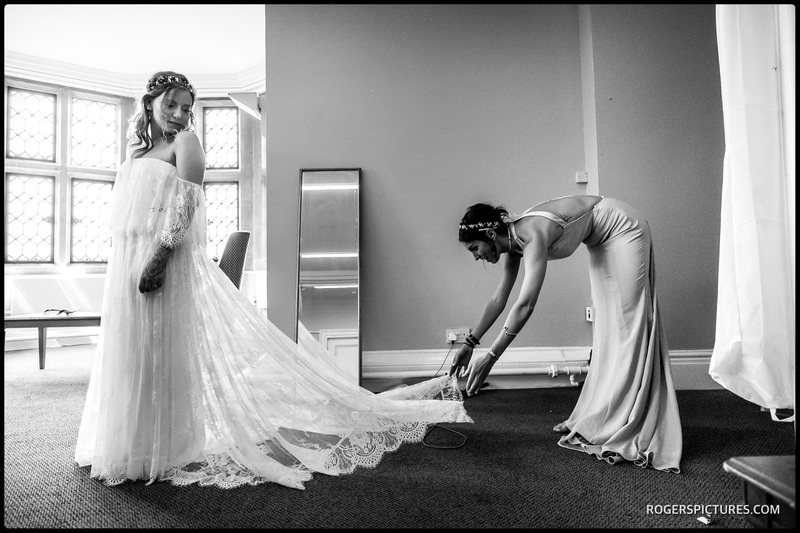 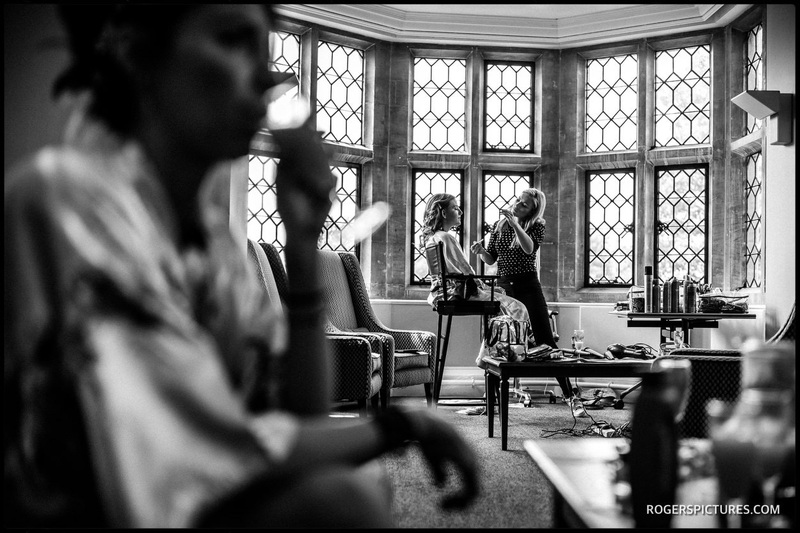 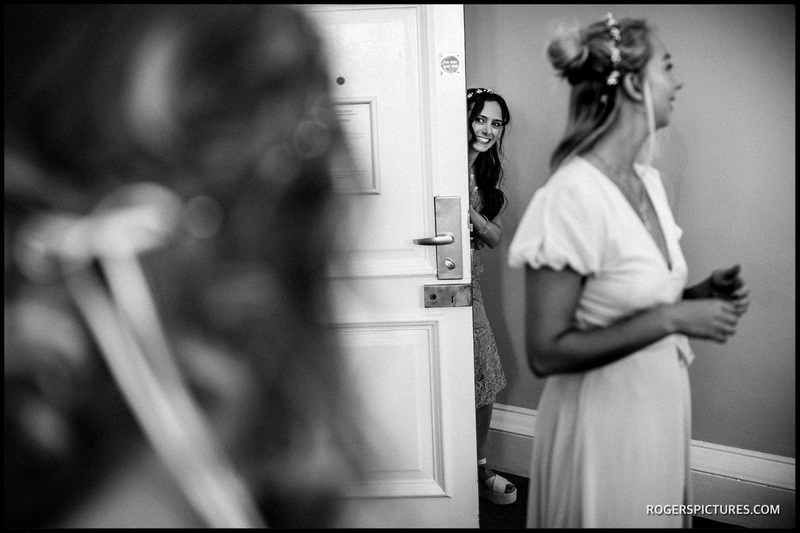 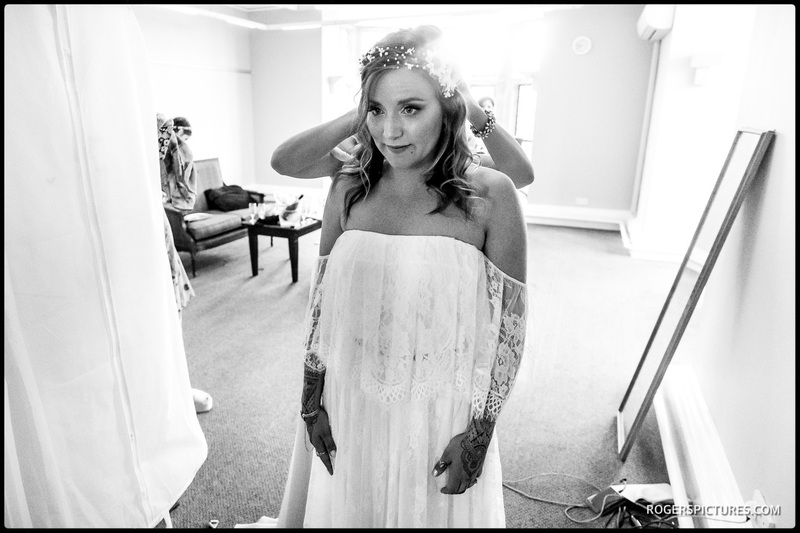 It all started some miles away, at the De Vere Horwood Estate Hotel where I met Sakara and her bridesmaids getting ready early one May Saturday morning. 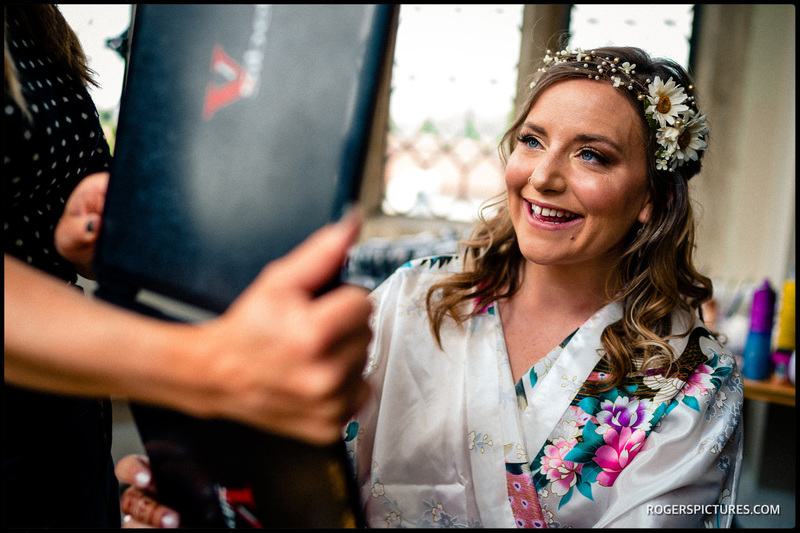 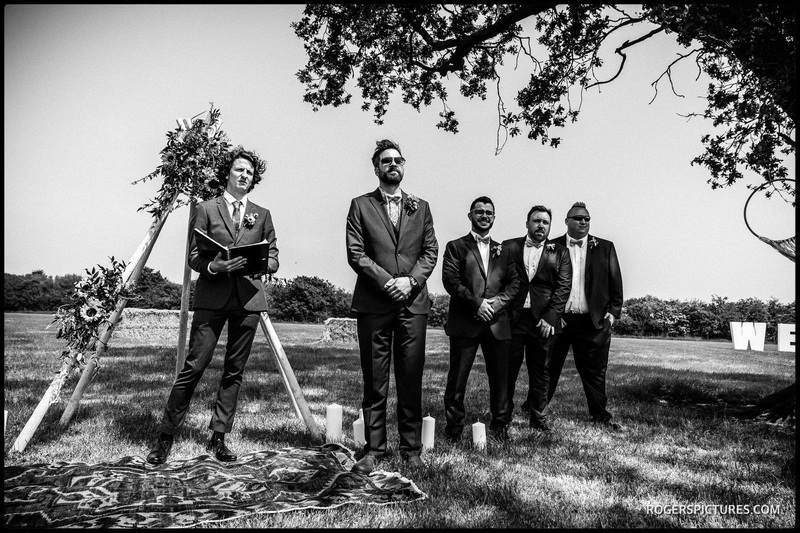 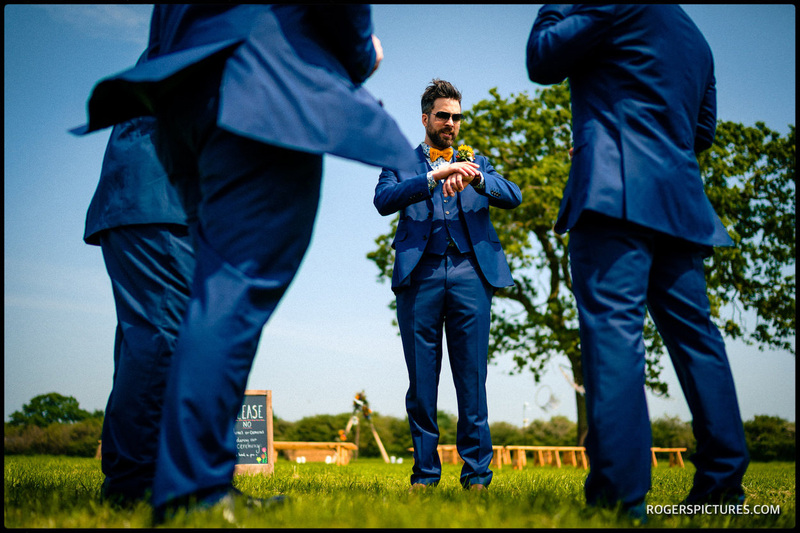 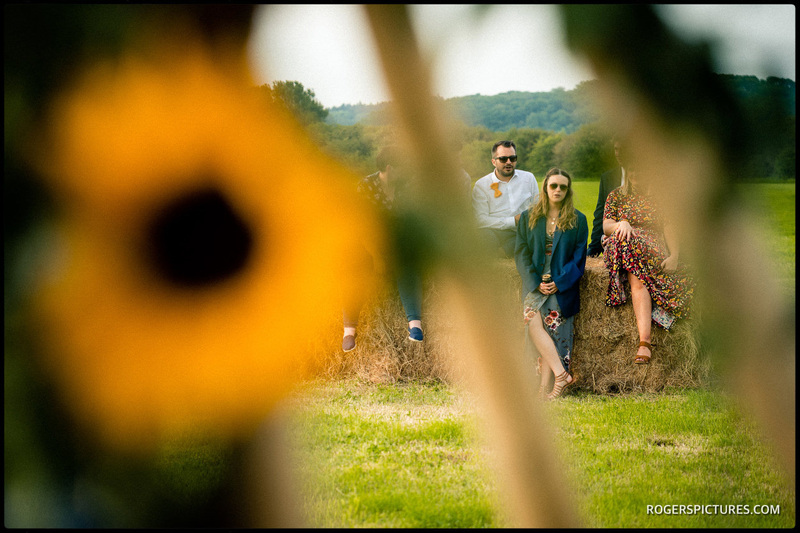 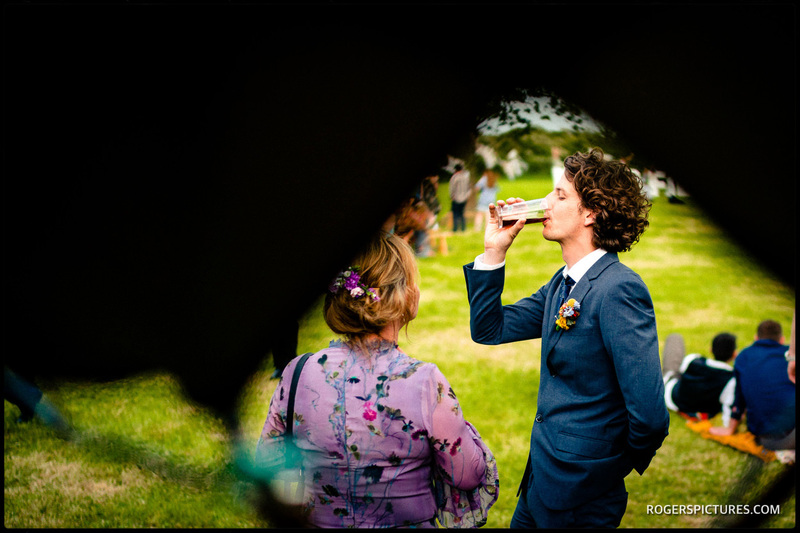 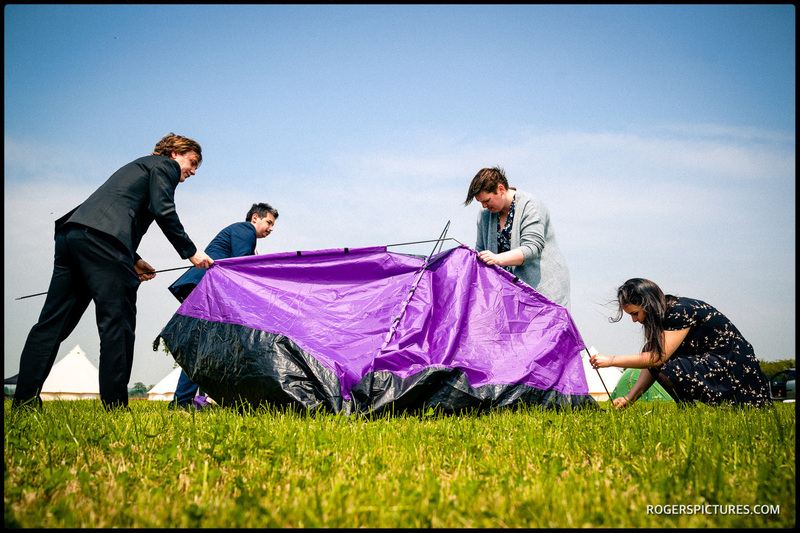 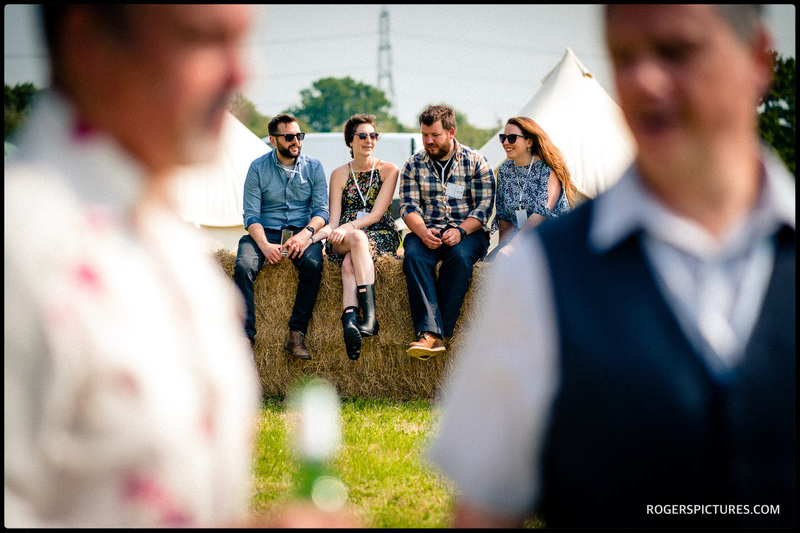 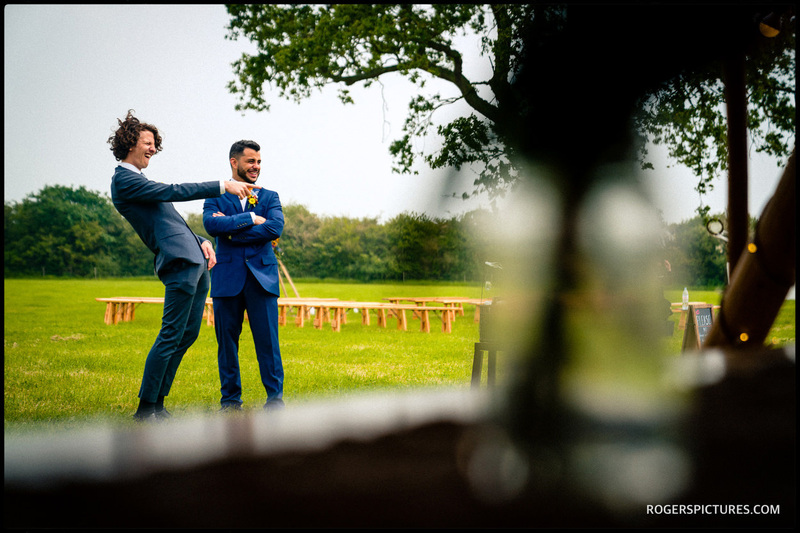 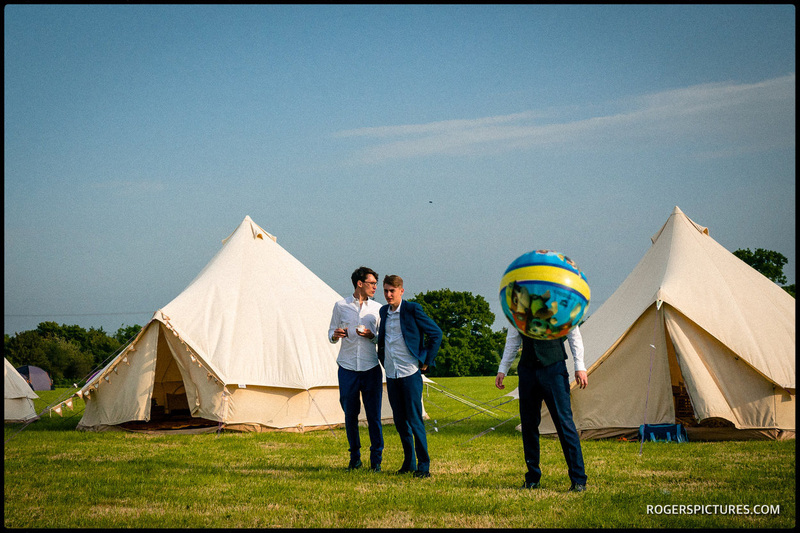 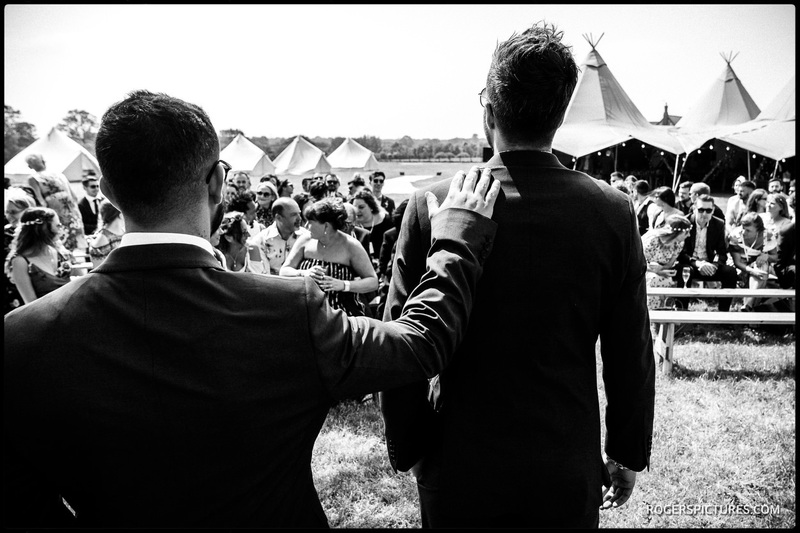 Meanwhile, Melissa was over at Oak Tree Farm near Bicester, where Alex and the groomsmen were busy setting up the camping and ceremony space ready for the guests to arrive. 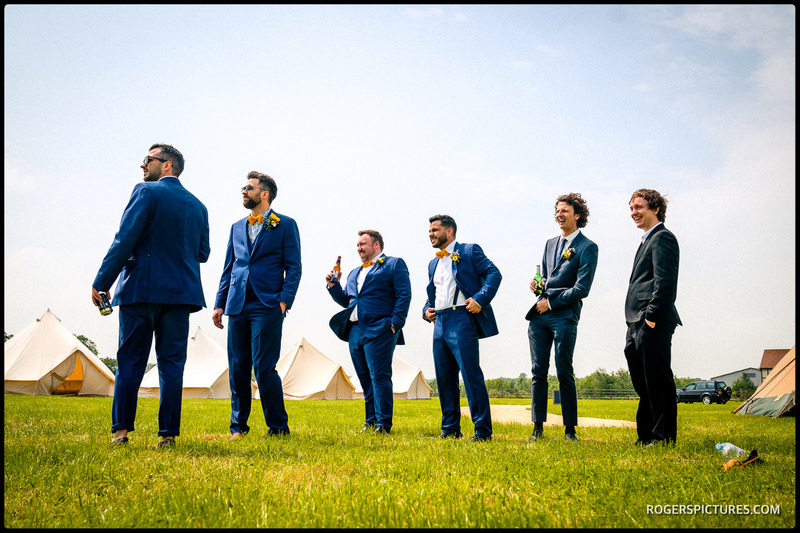 By the time I arrived at Oak Tree Farm, the tents were up, and guests were gathering round the Oak Tree where the outdoor wedding ceremony would take place. 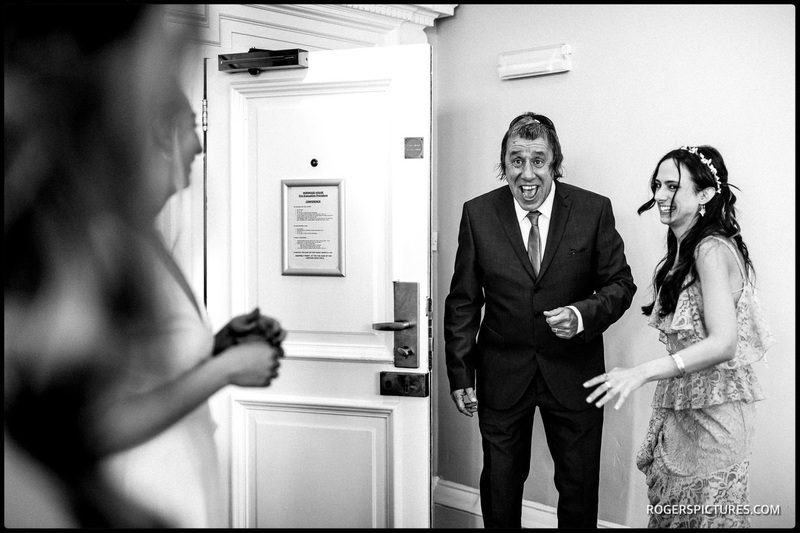 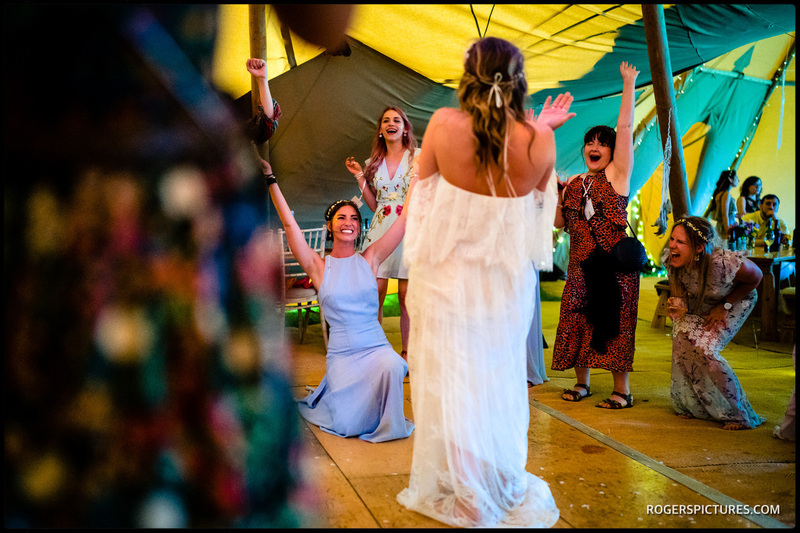 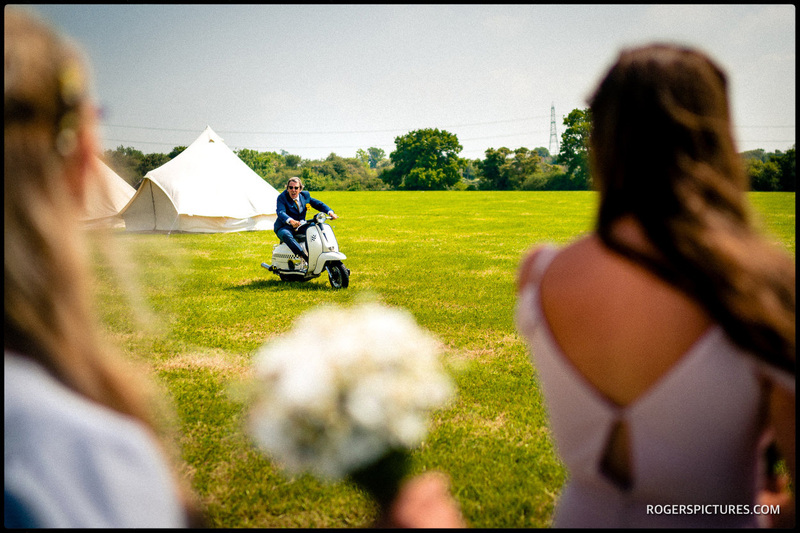 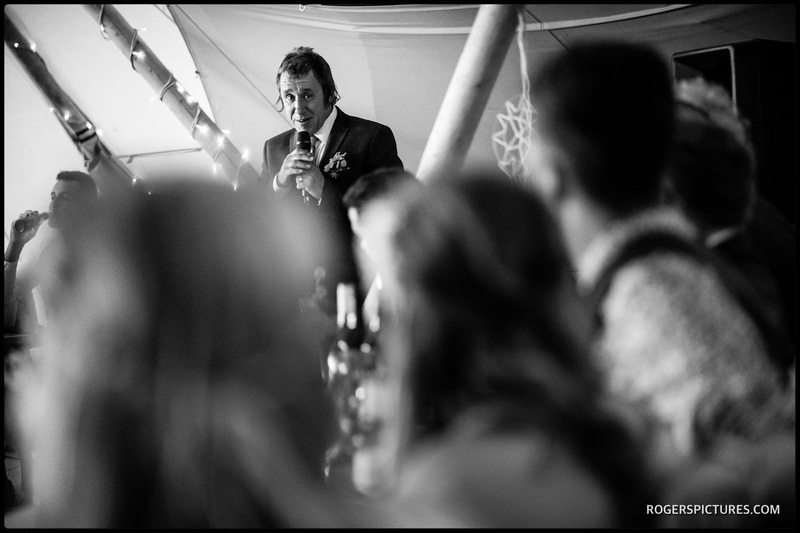 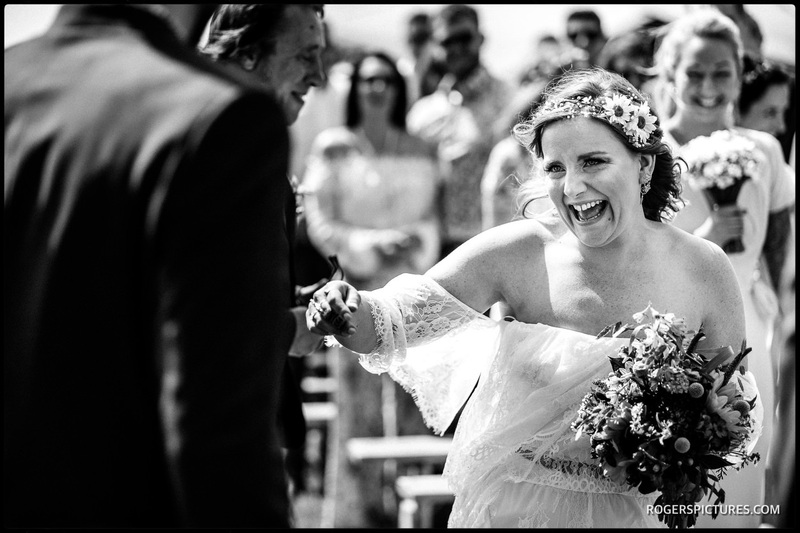 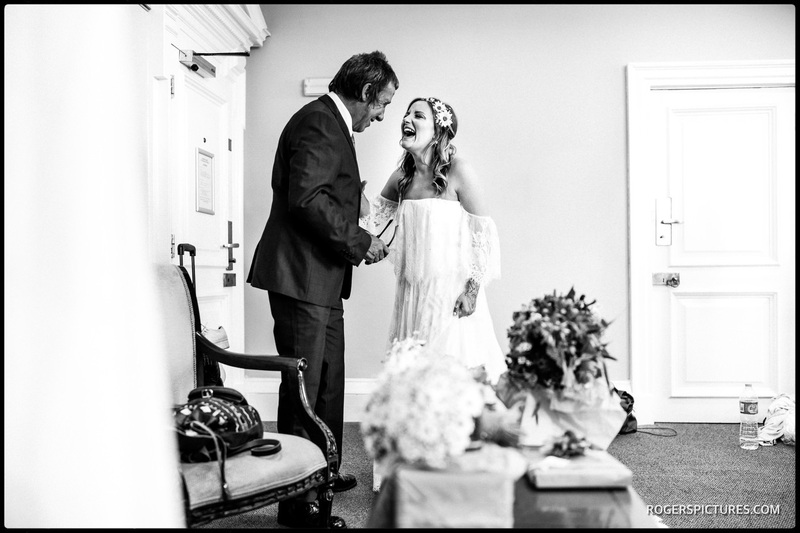 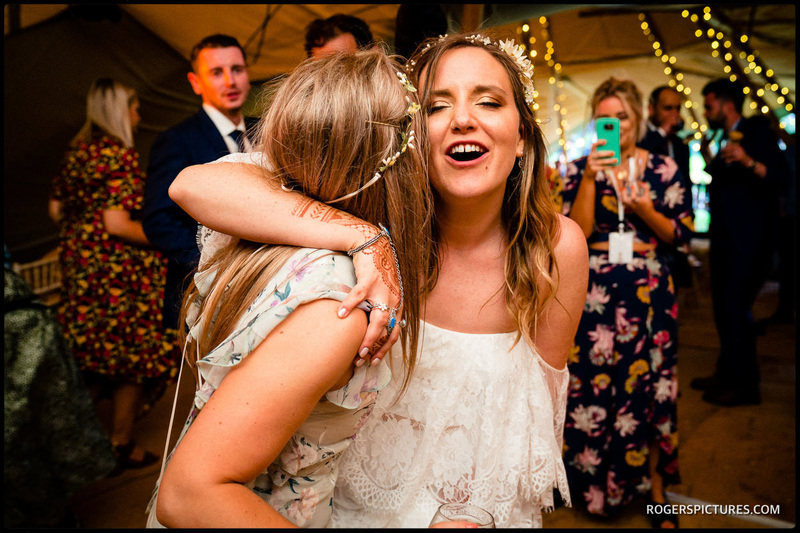 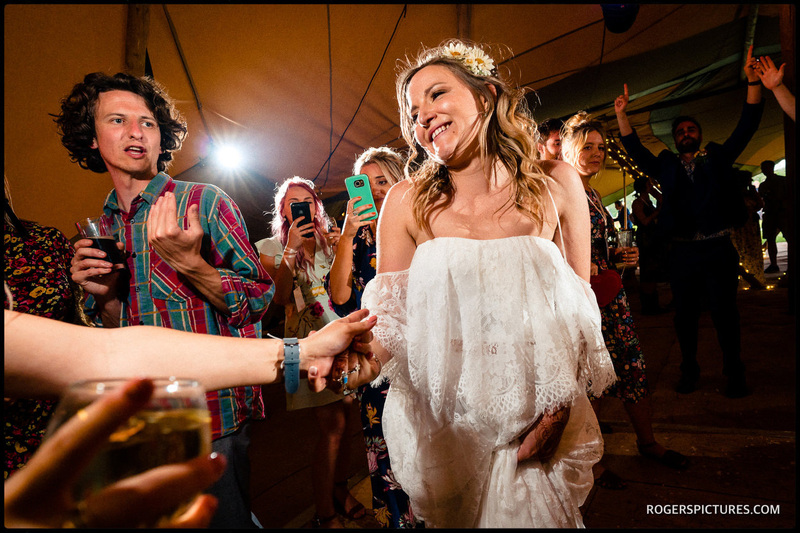 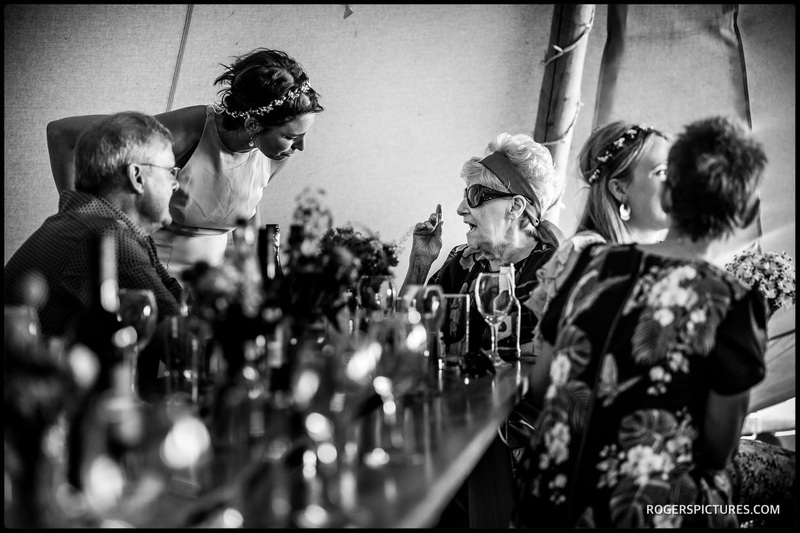 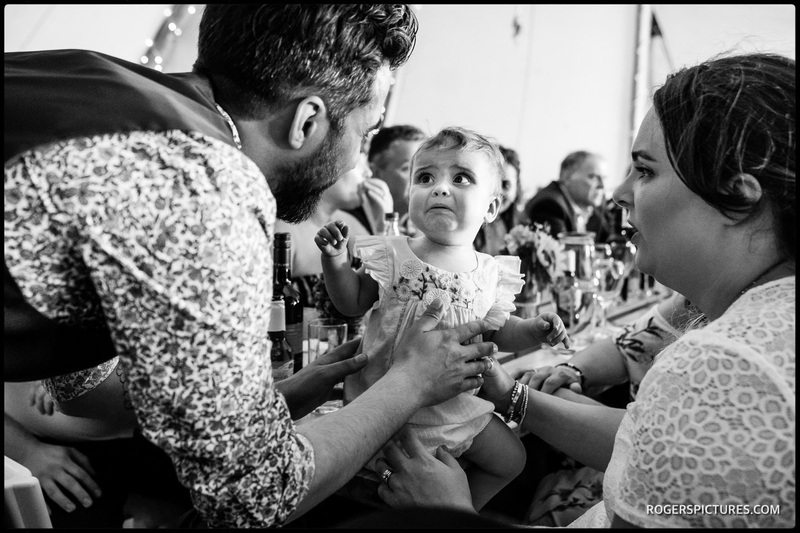 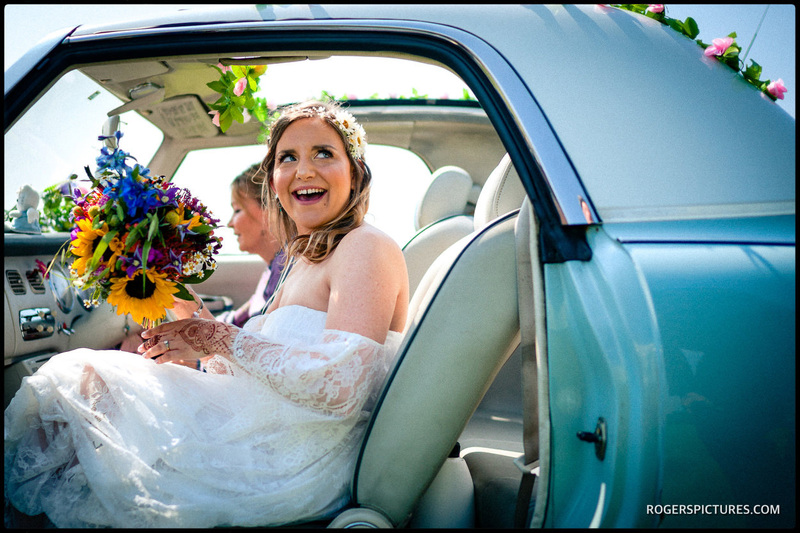 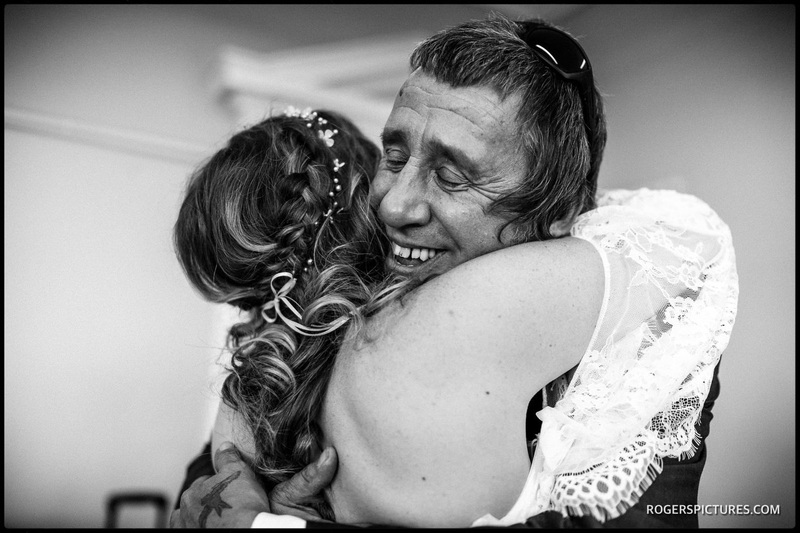 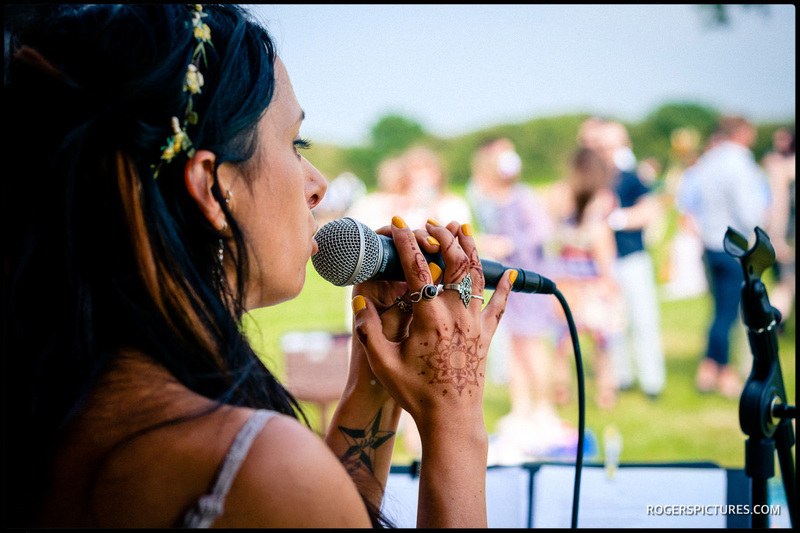 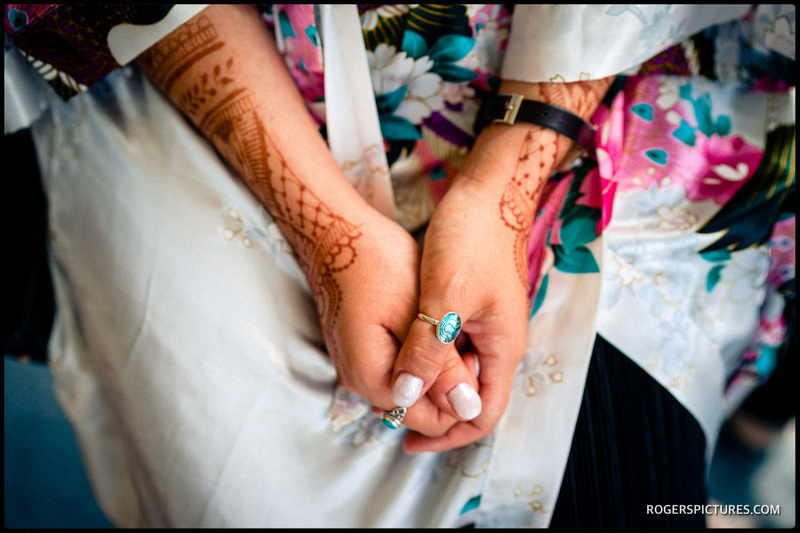 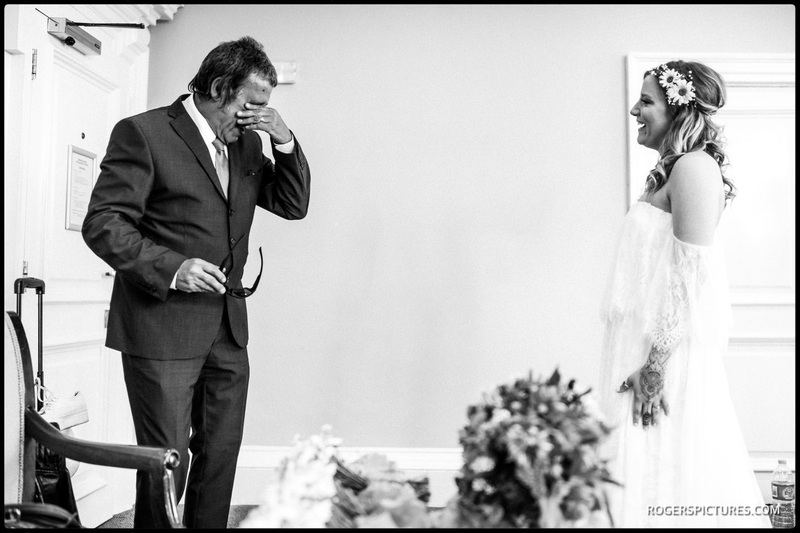 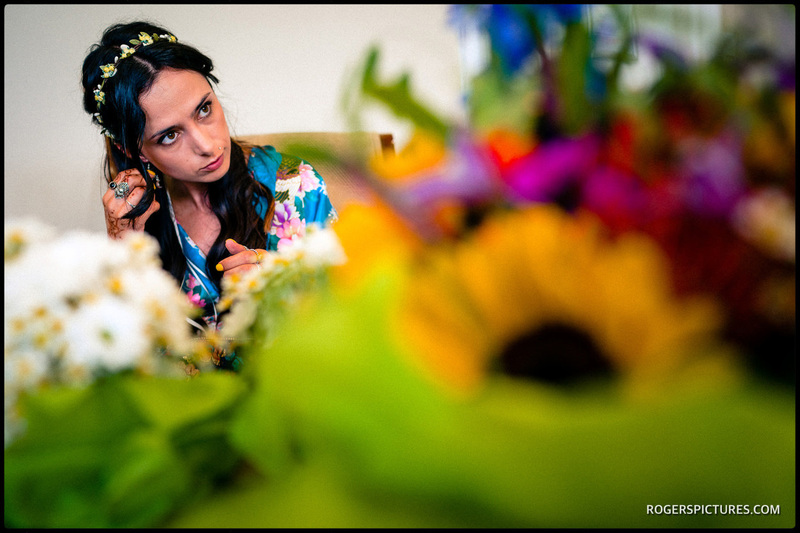 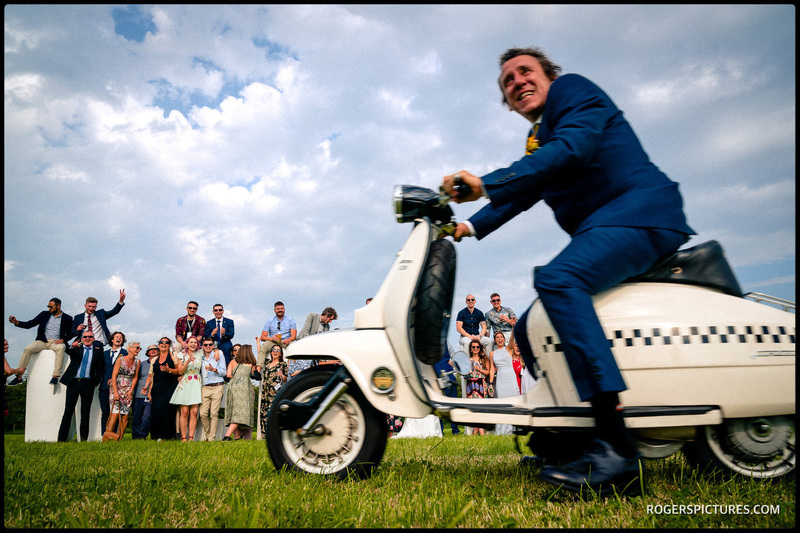 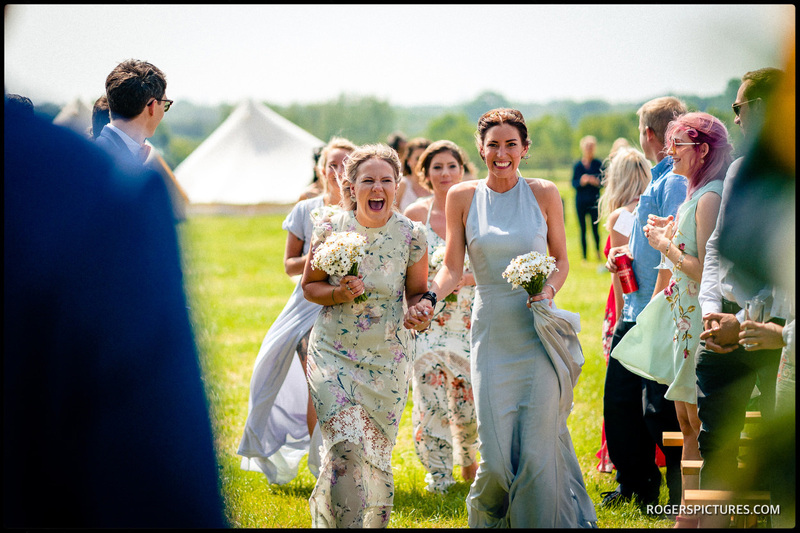 The distinctive sound of a VW camper van signalled the arrival of the bridesmaids, and Sakara’s Father revved up his moped to go and greet his daughter as she arrived. 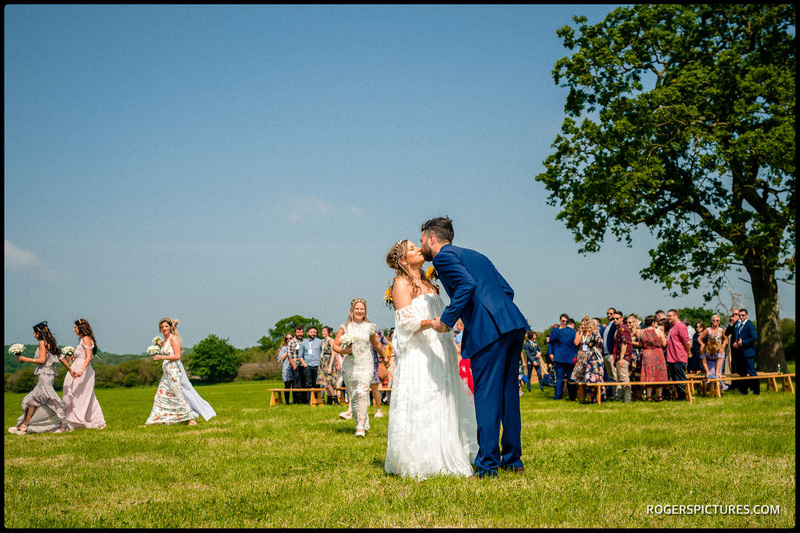 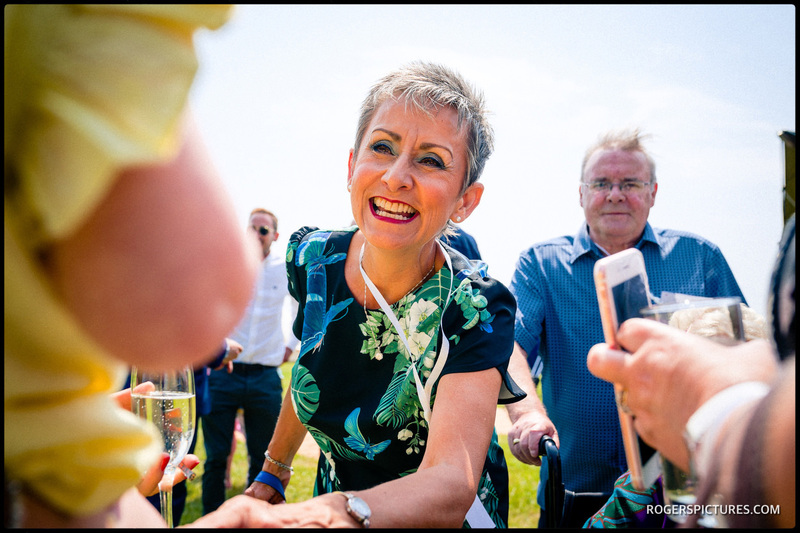 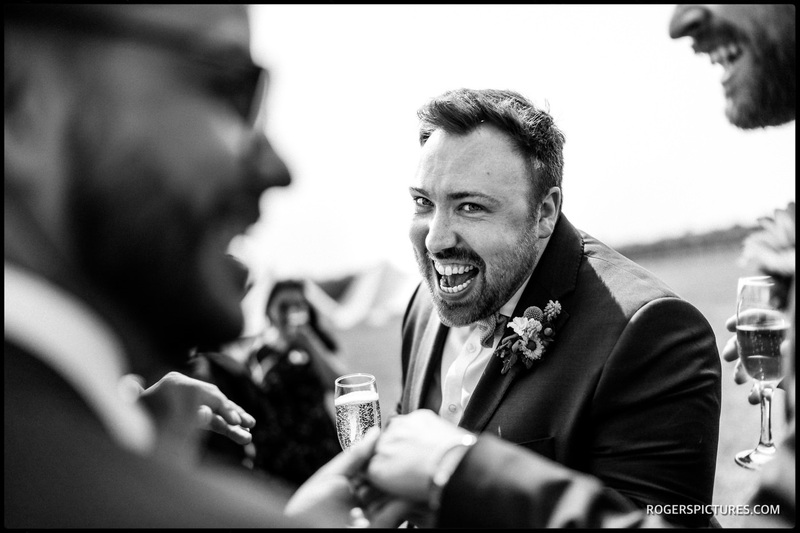 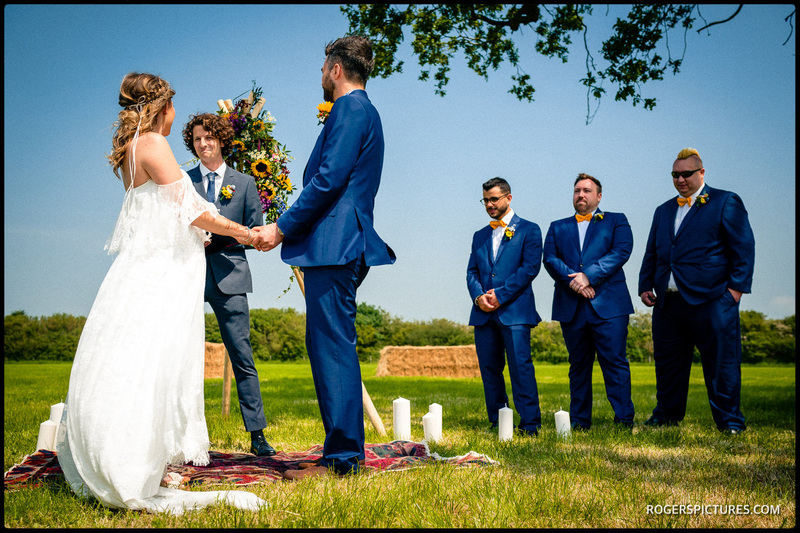 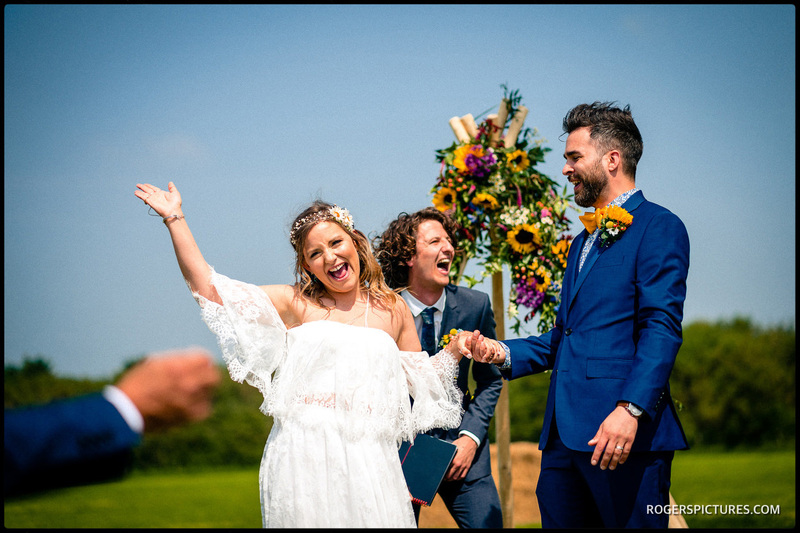 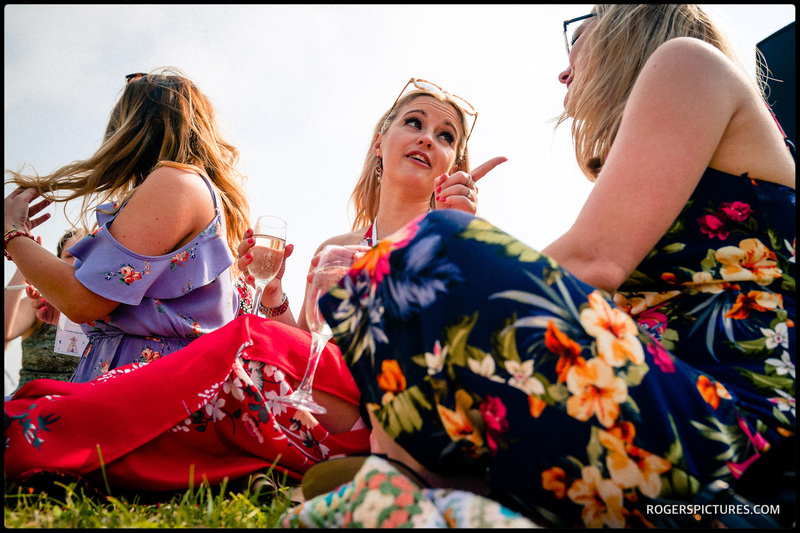 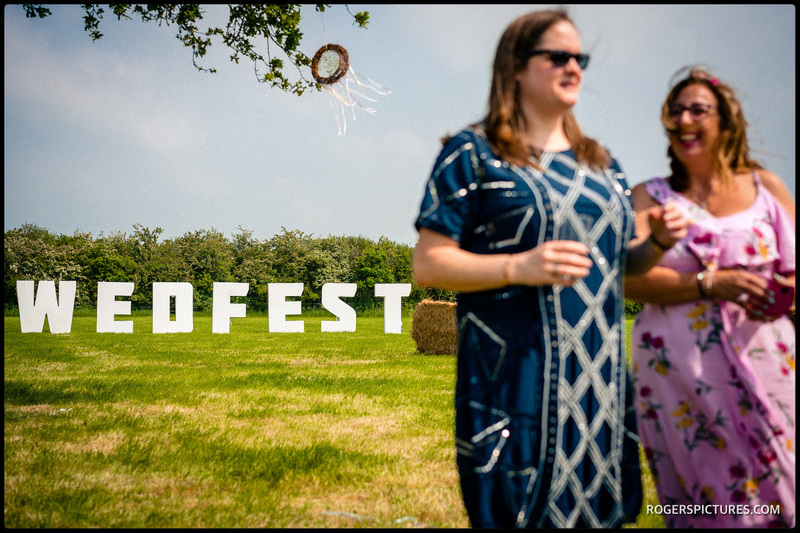 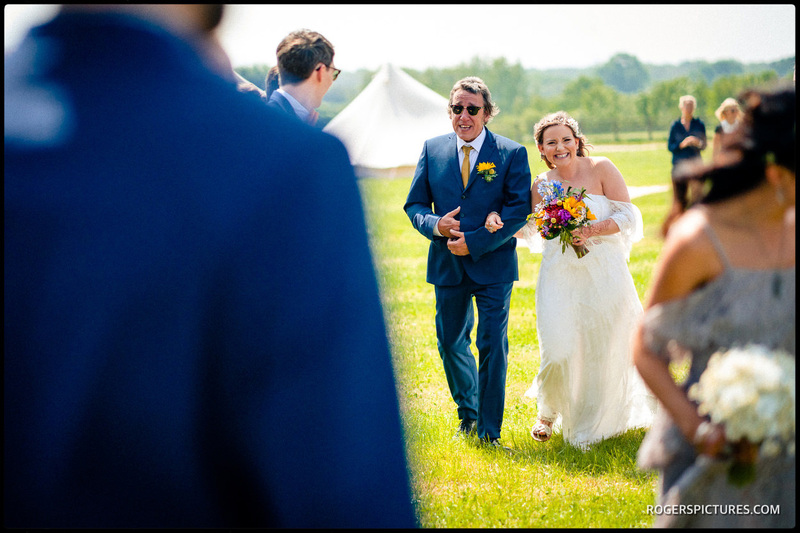 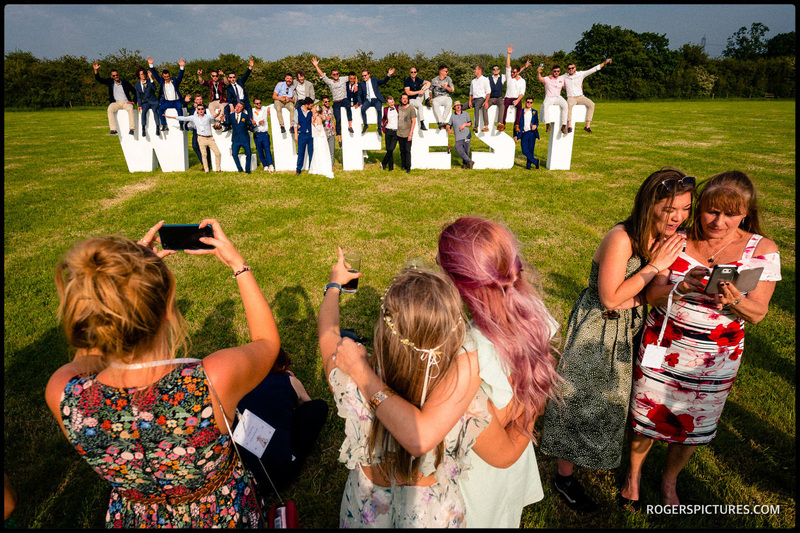 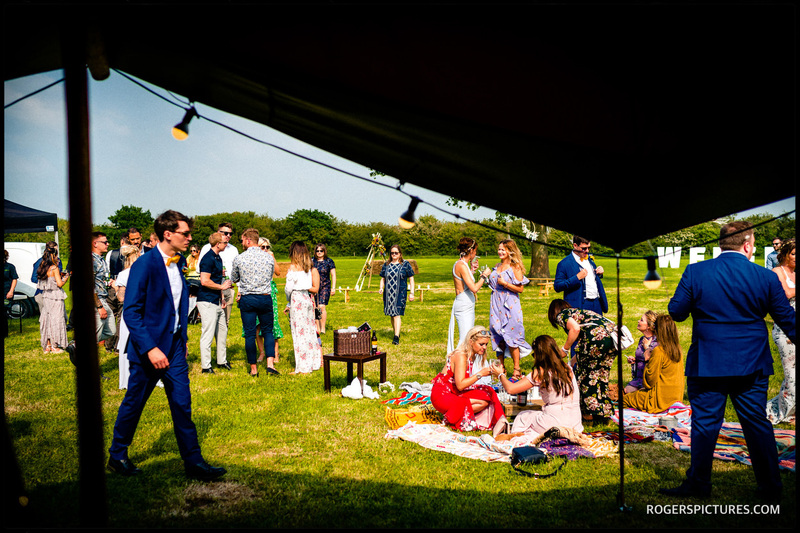 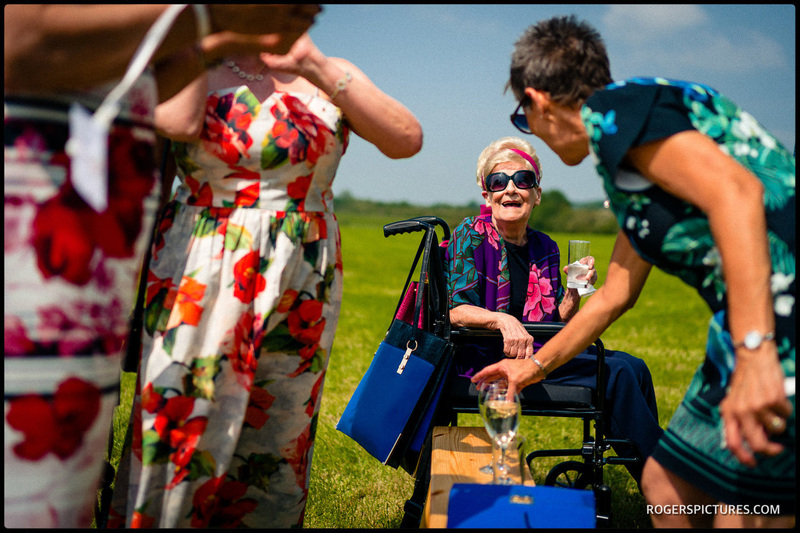 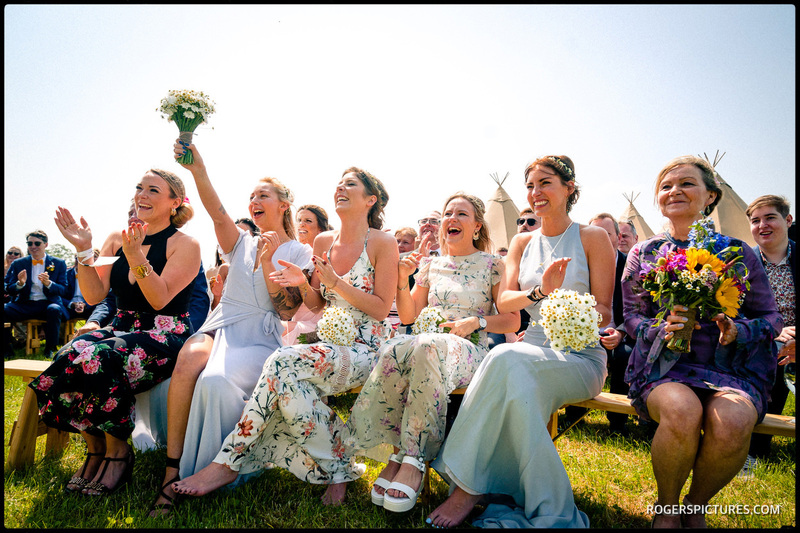 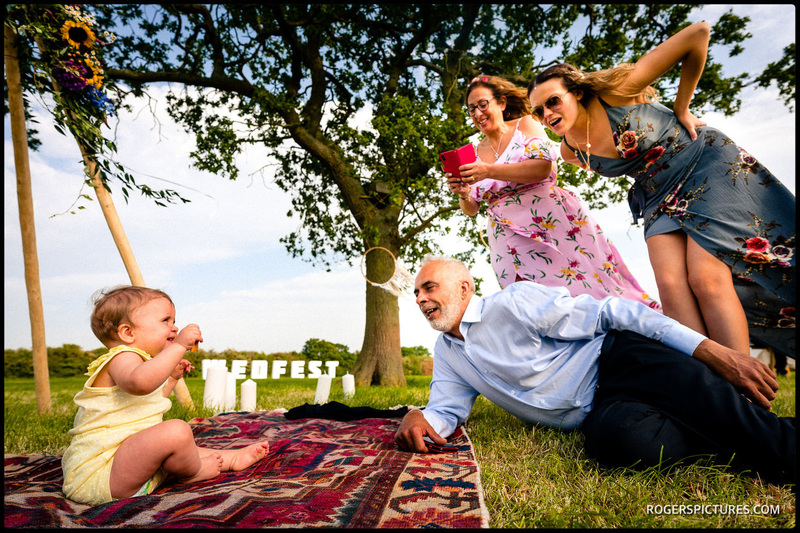 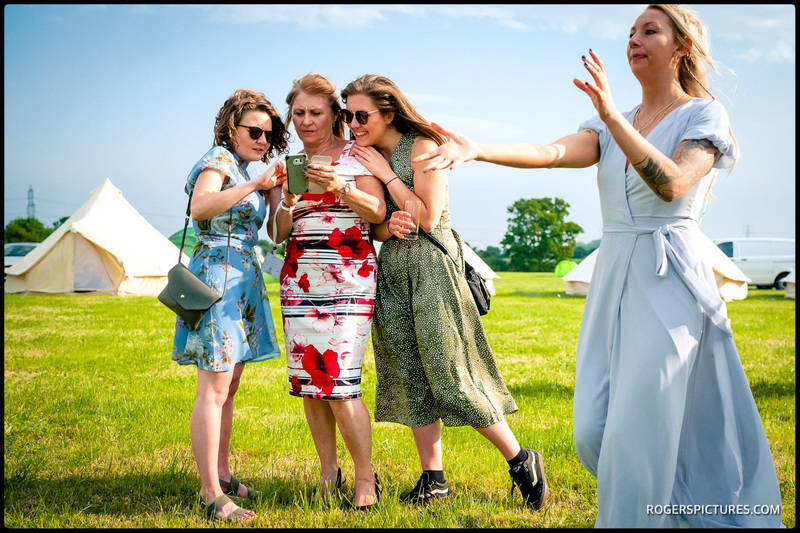 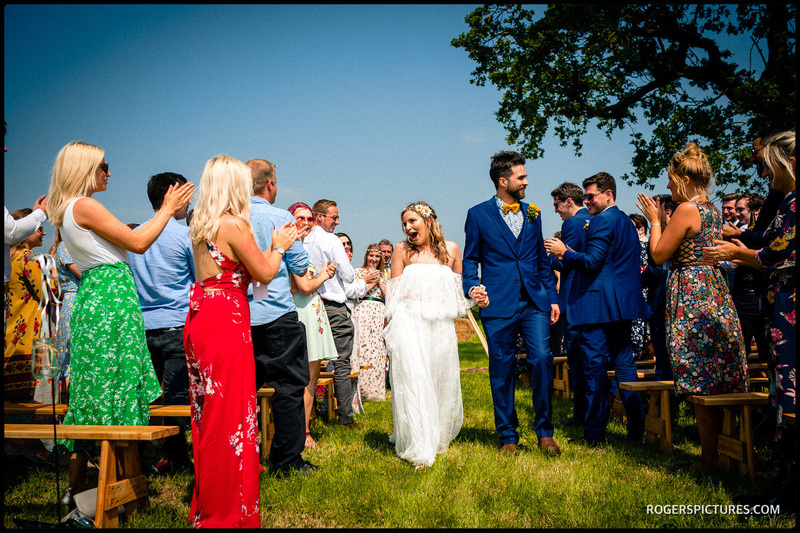 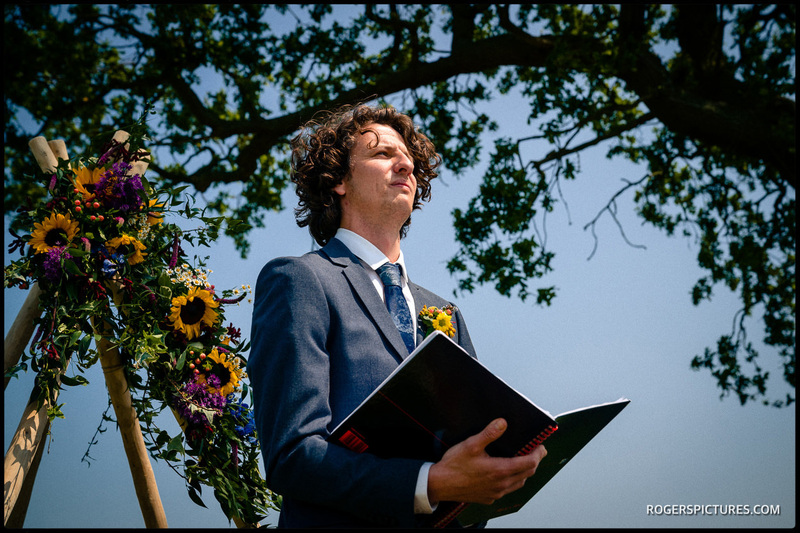 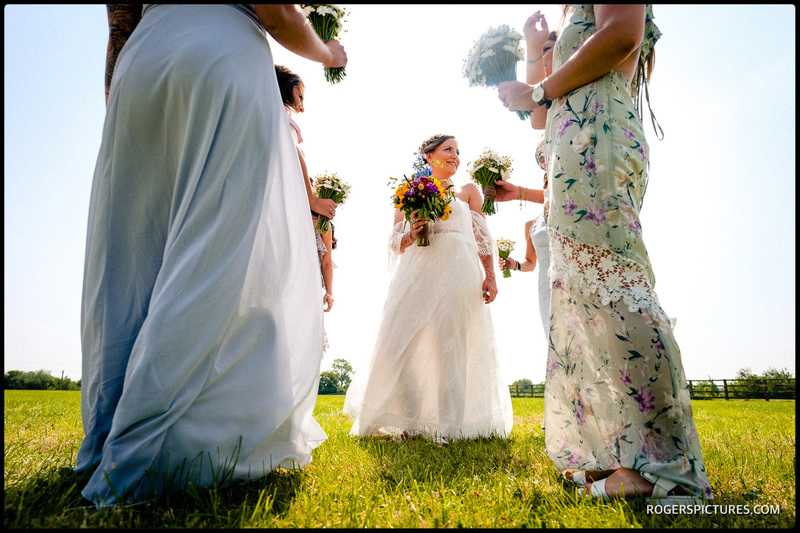 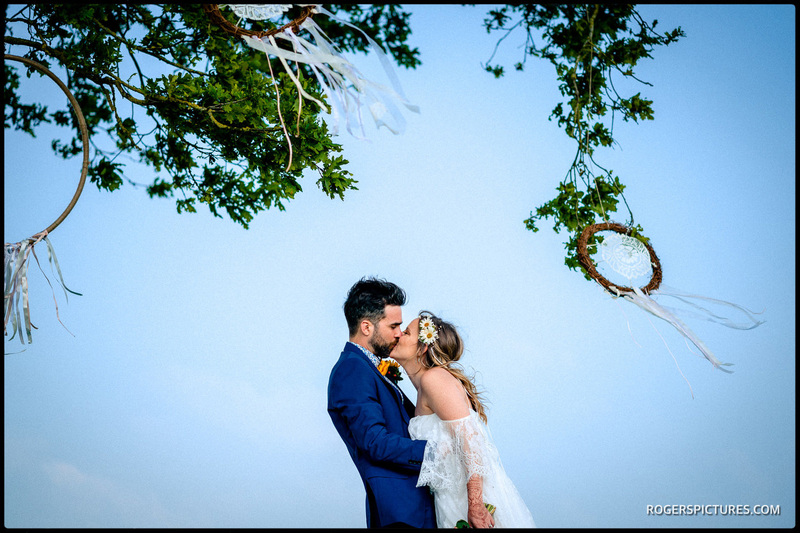 It made fantastic pictures, with the ceremony out in the open, sun beating down on the Buckinghamshire field, with a fairly brisk breeze keeping people cool. 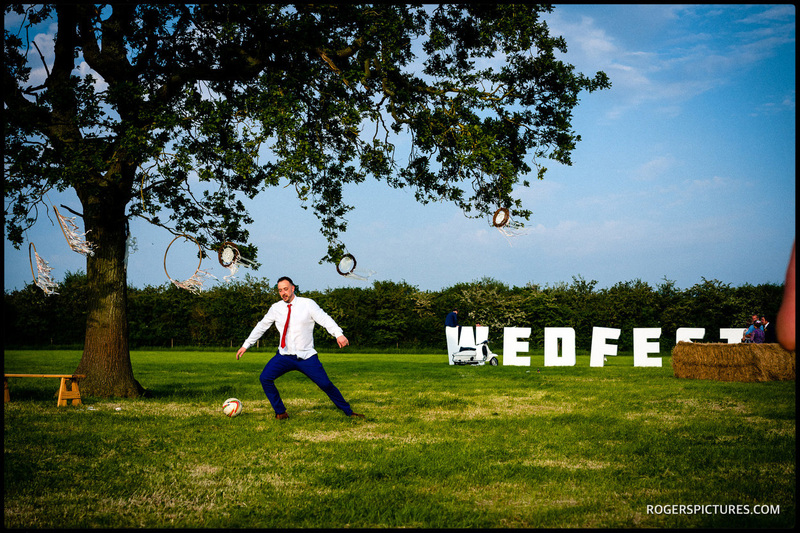 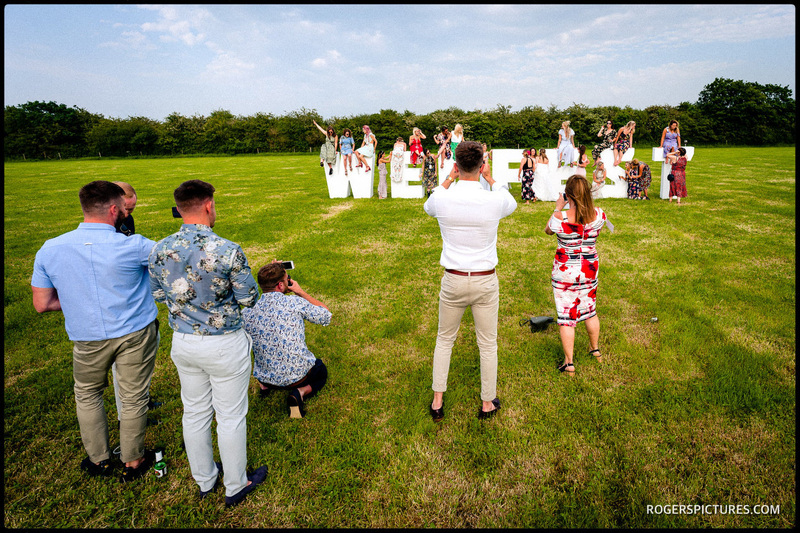 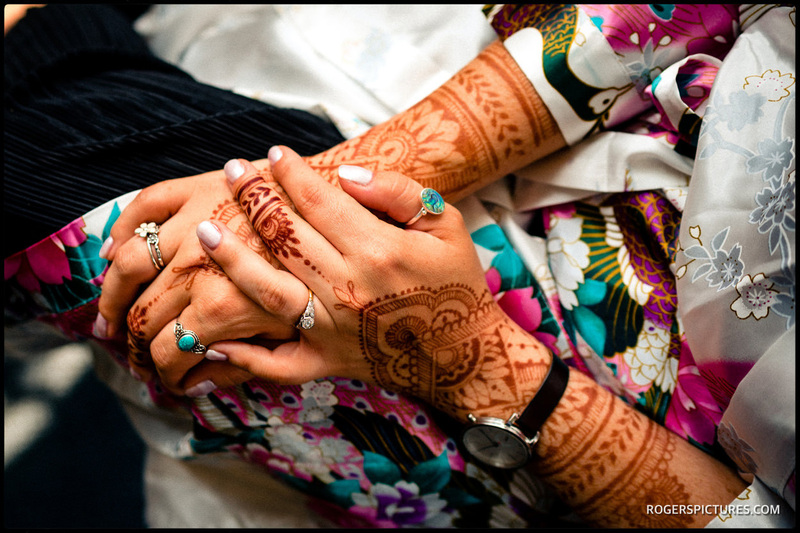 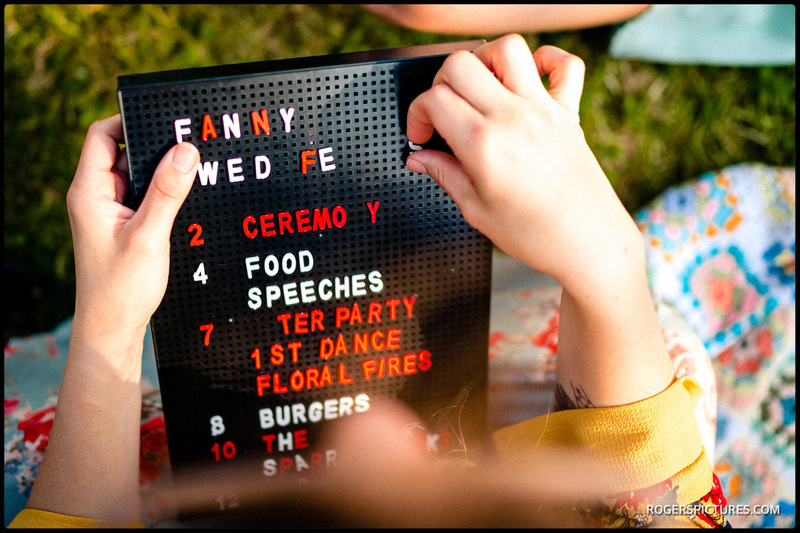 The theme of the wedding was Wedfest, and it lived up to the billing! 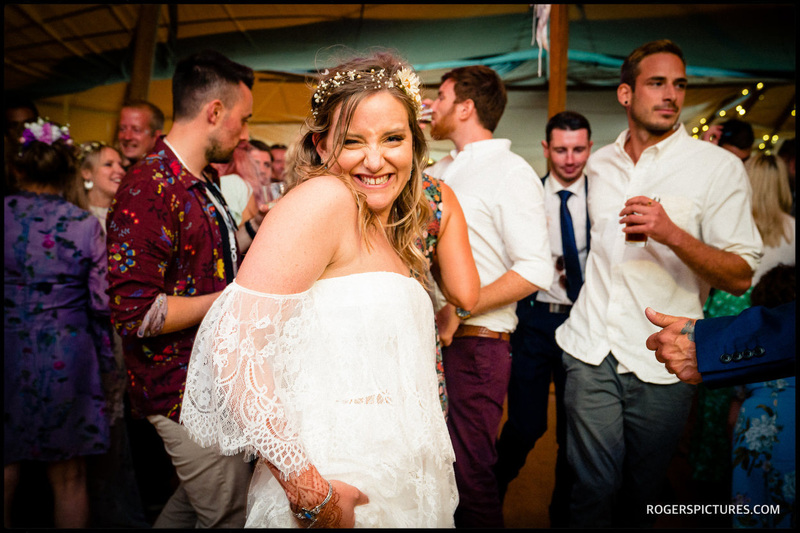 With music and a big open pan of curry for the wedding breakfast, this really was a great wedding day to be part of. 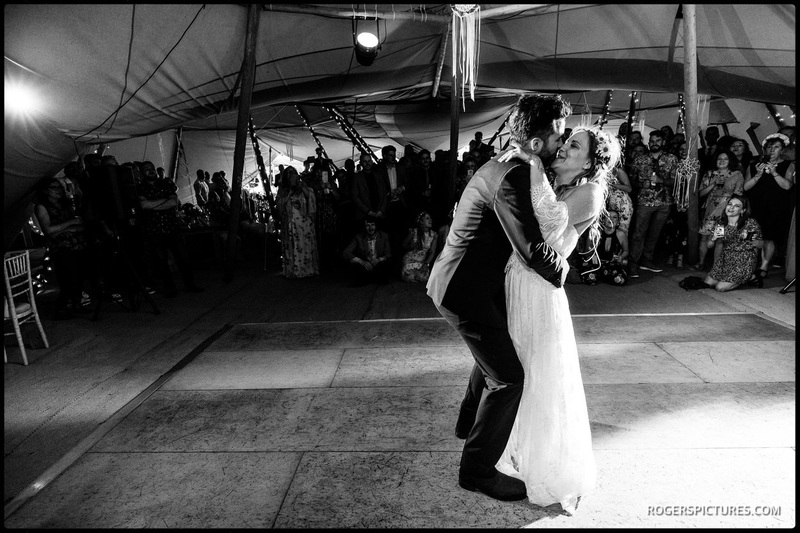 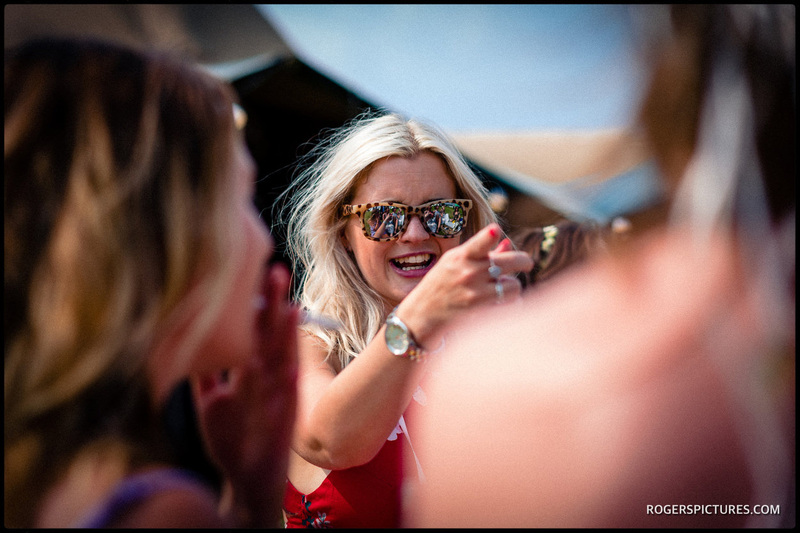 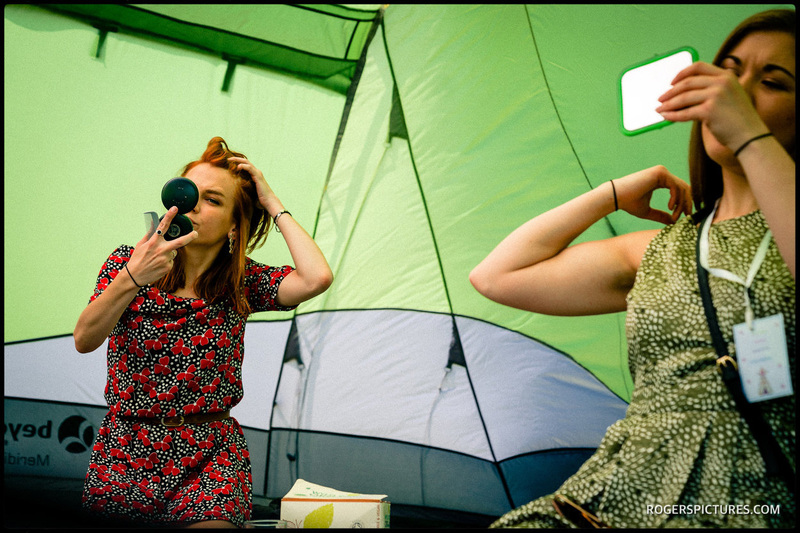 Enjoy some of you favourite pictures in the slideshow above. 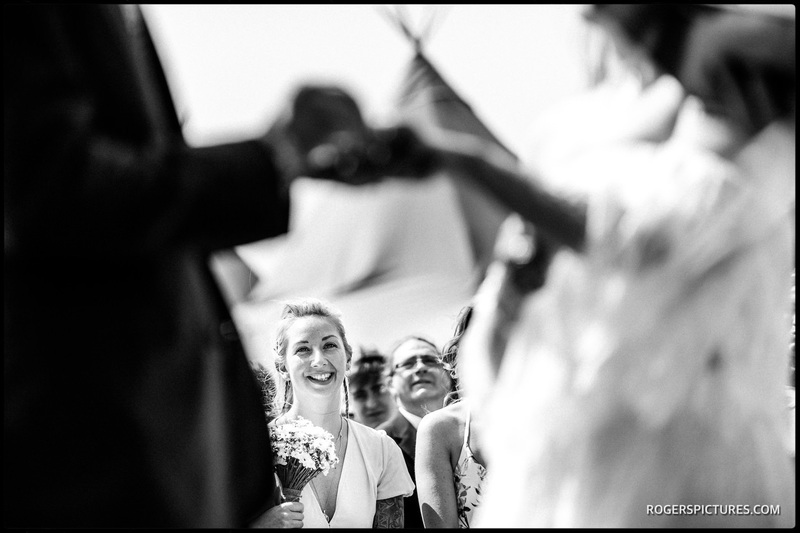 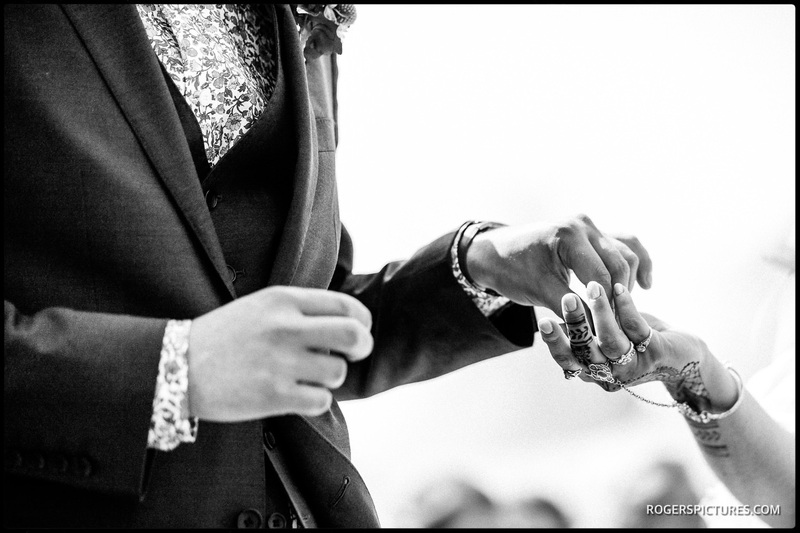 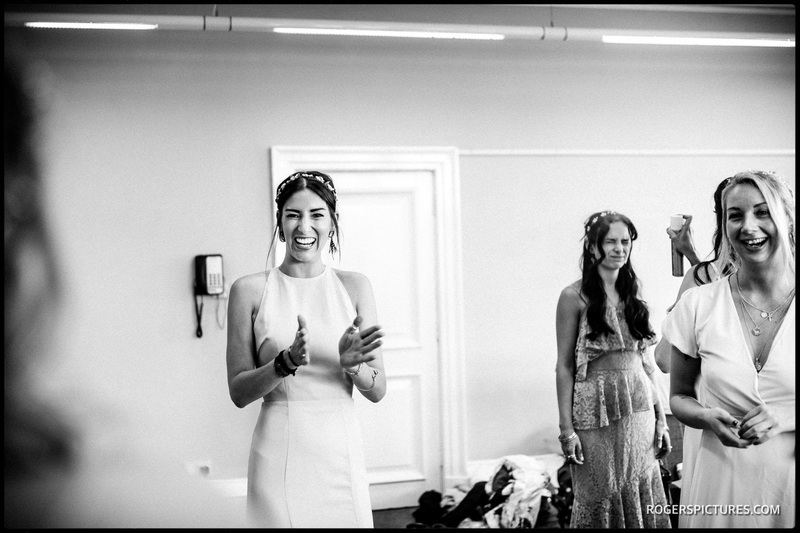 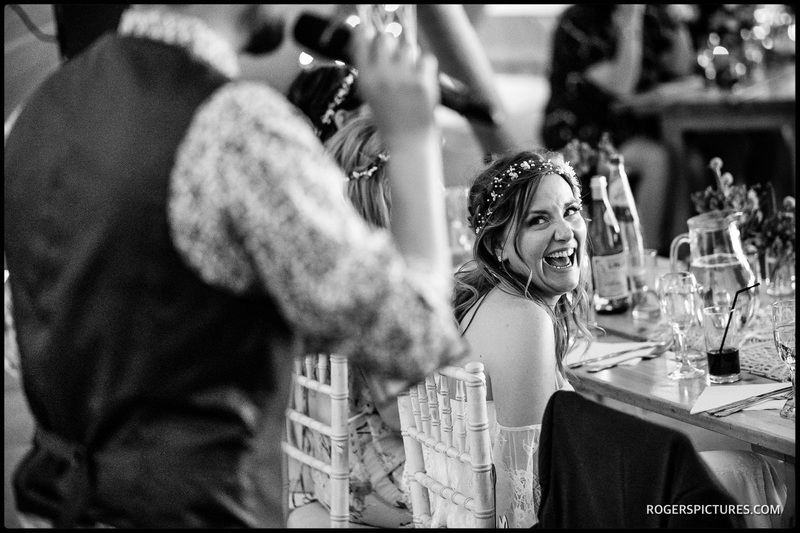 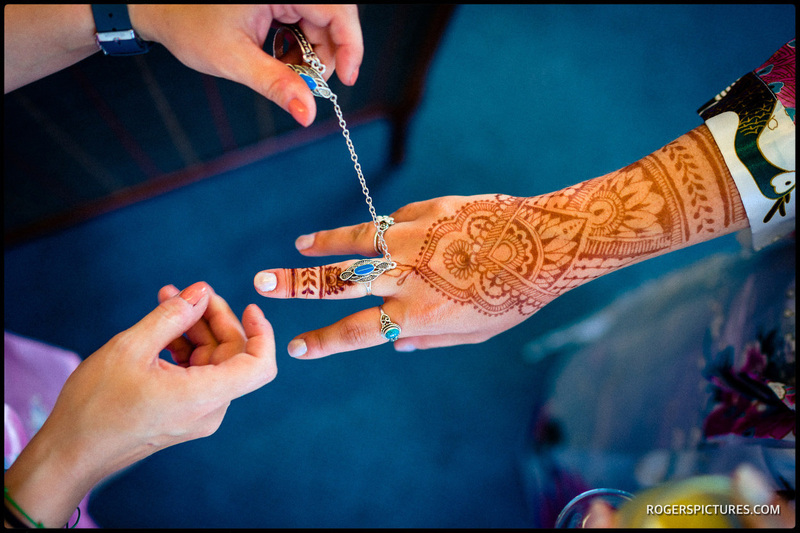 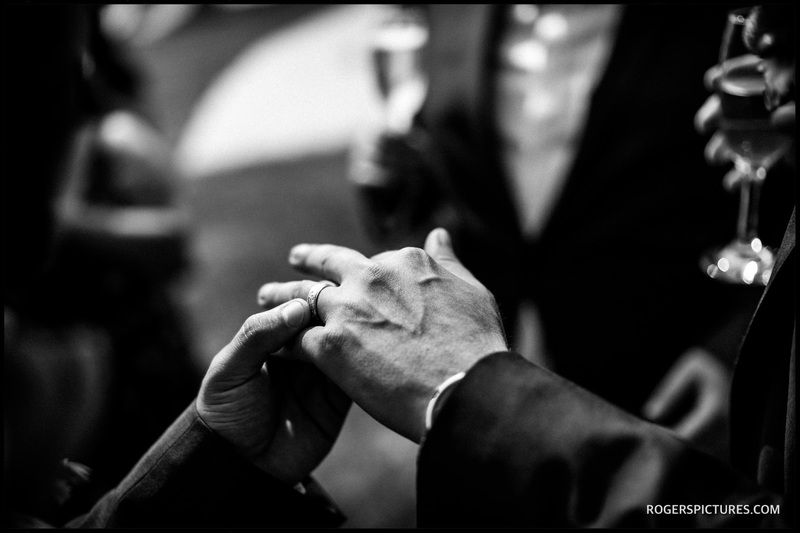 If you were a guest at this wedding, get the password details from Sakara and Alex, and head over to the Clients page for the full set. 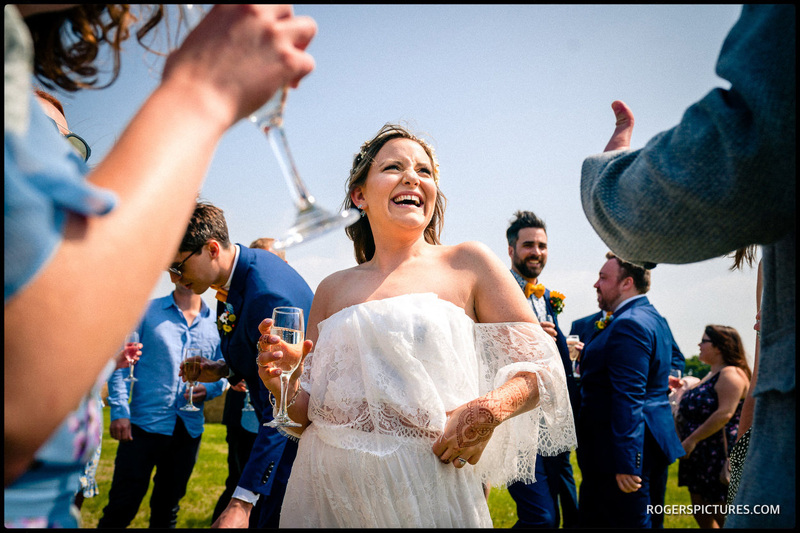 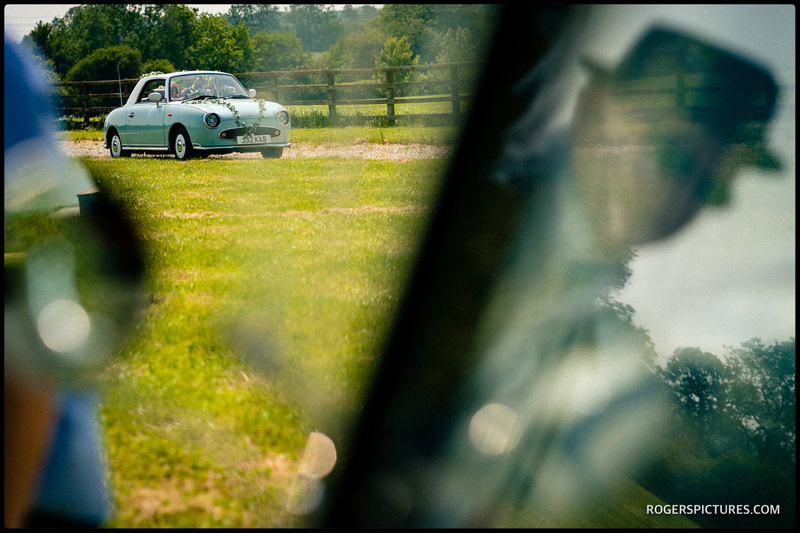 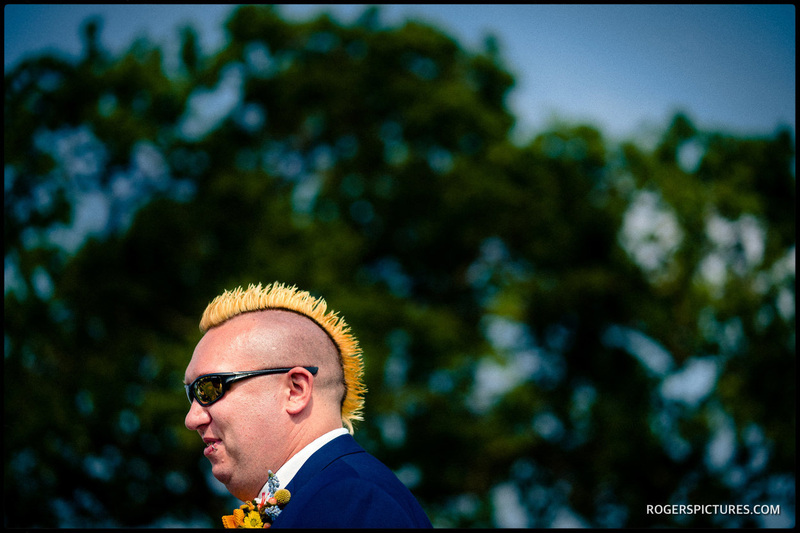 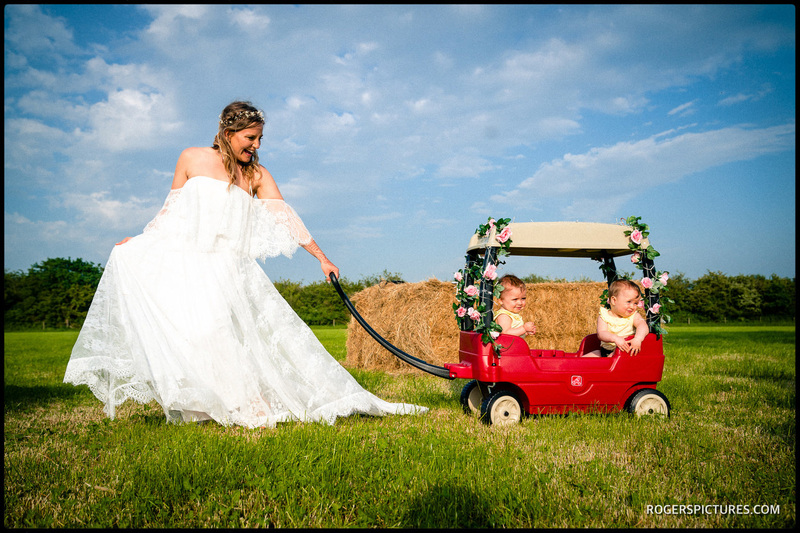 You might also enjoy this Spring Wedding at Hatfield House, or this nearby Buckinghamshire Barn wedding photography.